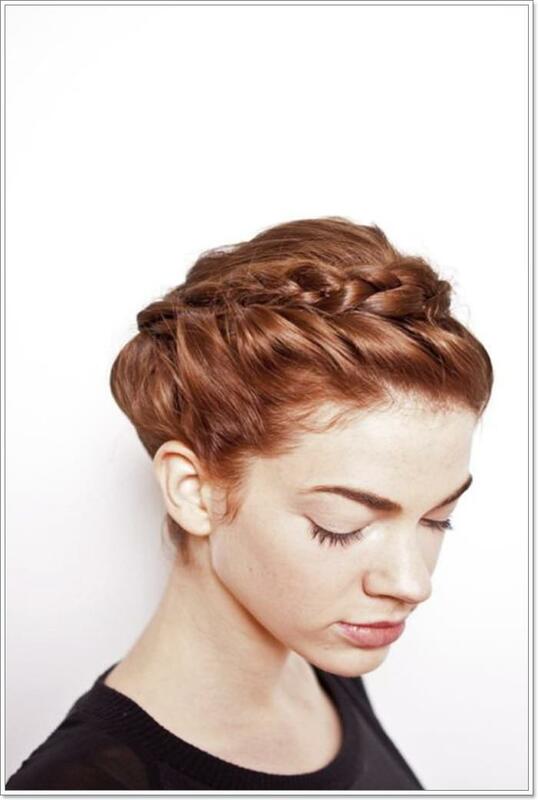 Braids are a timeless hairstyle that even men love wearing it. Of course, women are the best ones who don the hairstyle with style and class. 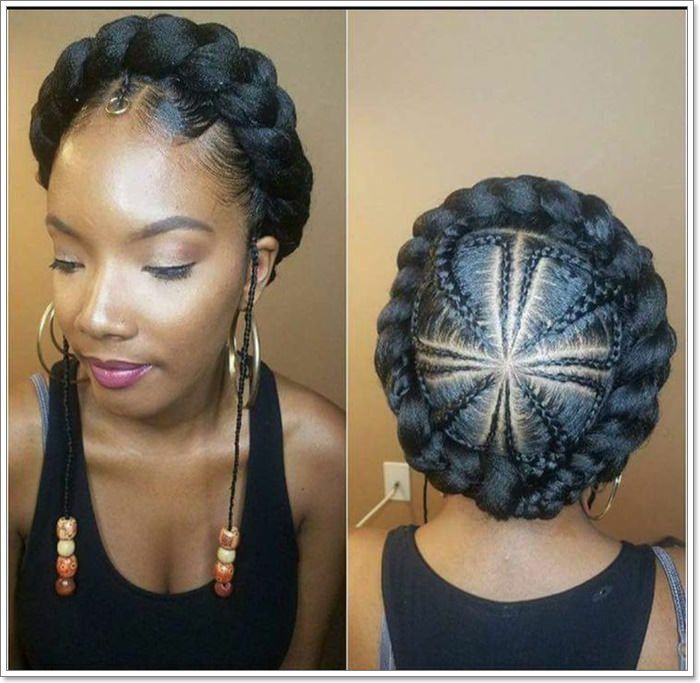 There are a lot of different braids that women love to wear. 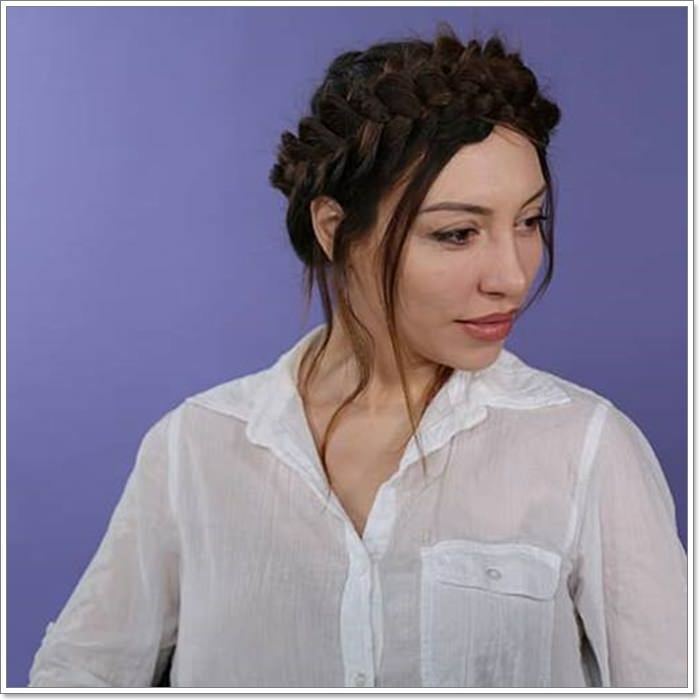 Even the simplest and most common braids like the solid, flat, and three-stranded styles are still famous to this date. 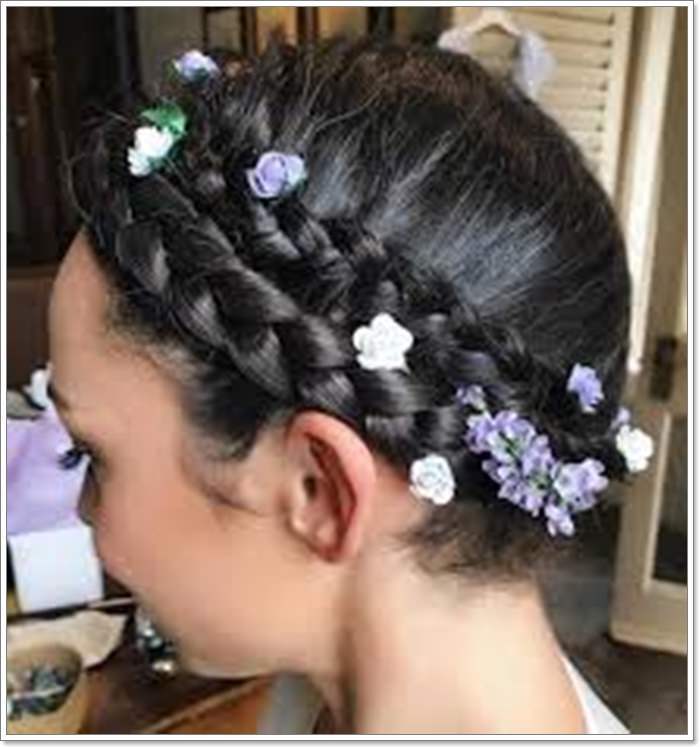 But as time goes by, hairstylists learn plenty of different hair braids and they are more complex. 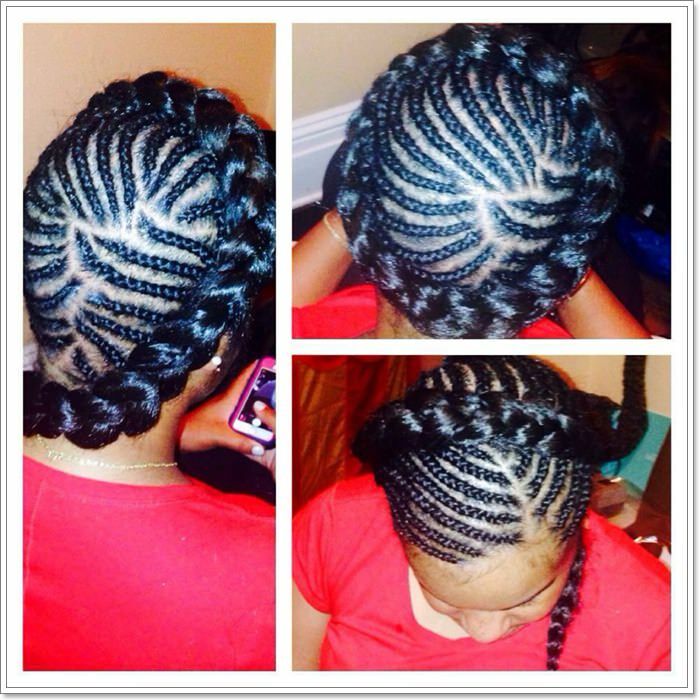 This includes the box braids, cornrows, lemonade braids, Fulani braids, French braids, Dutch braids, and more. 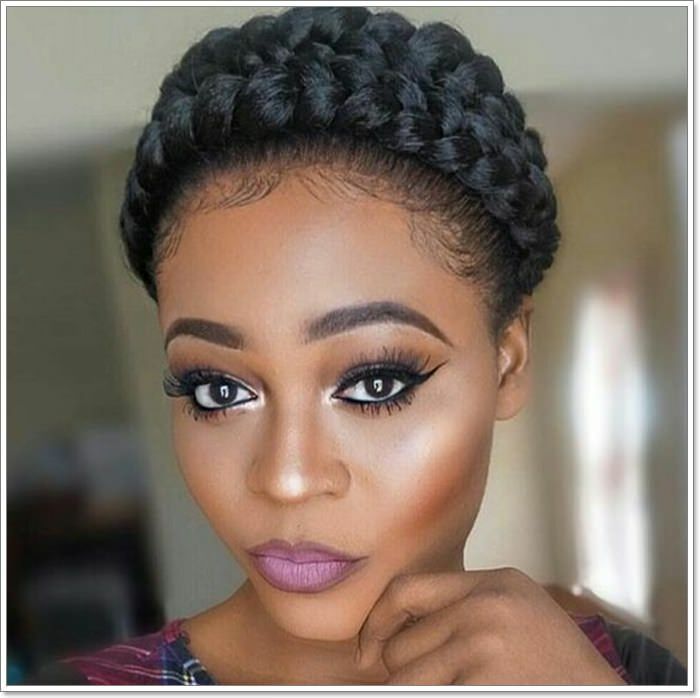 One of the most interesting protective styles is the halo braids hairstyle that women love wearing. Even the famous public figures such as American singers Beyonce and Katy Perry have both donned the hairstyle. 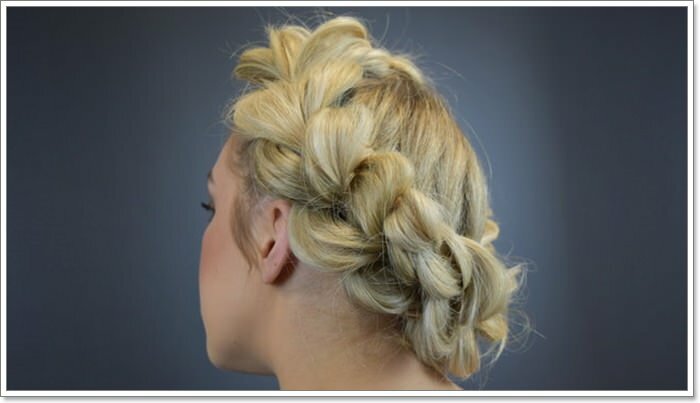 Halo braids are done by wrapping two Dutch braids and piling them around the hairline. 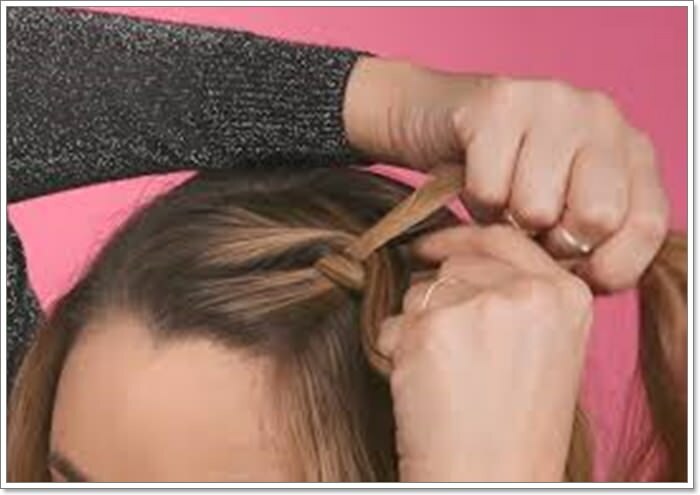 Bobby pins are normally used to pin the braids in place so they won’t fall off. 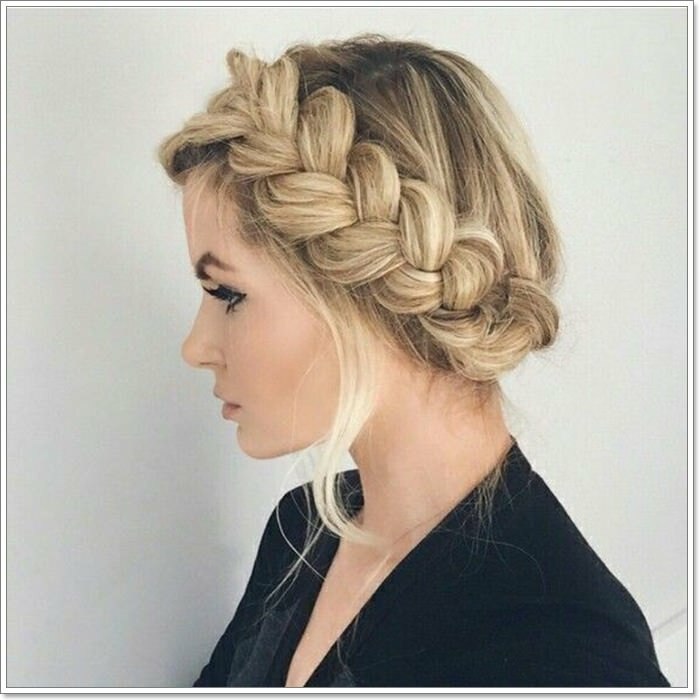 This hairstyle is almost the same as the crown braid although the latter is being done by binding two French braids along the hairline. It has been drawing interest from a lot of women worldwide and celebrities are wearing it too. 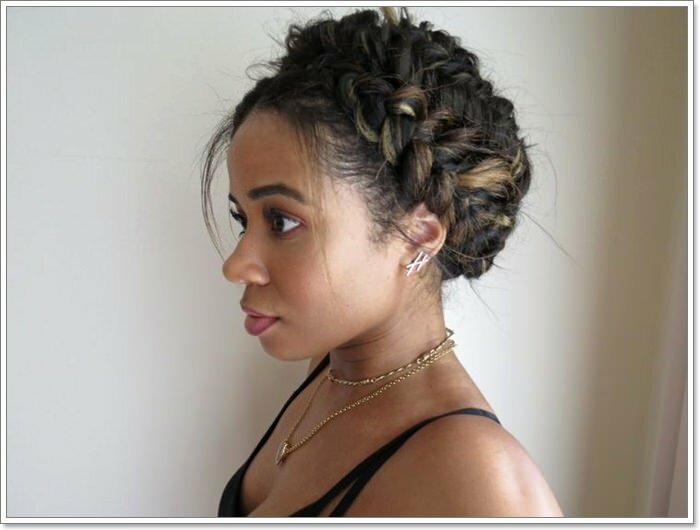 This protective style goes well with all hair types although hairstylists or braiders have different techniques on how to do it. 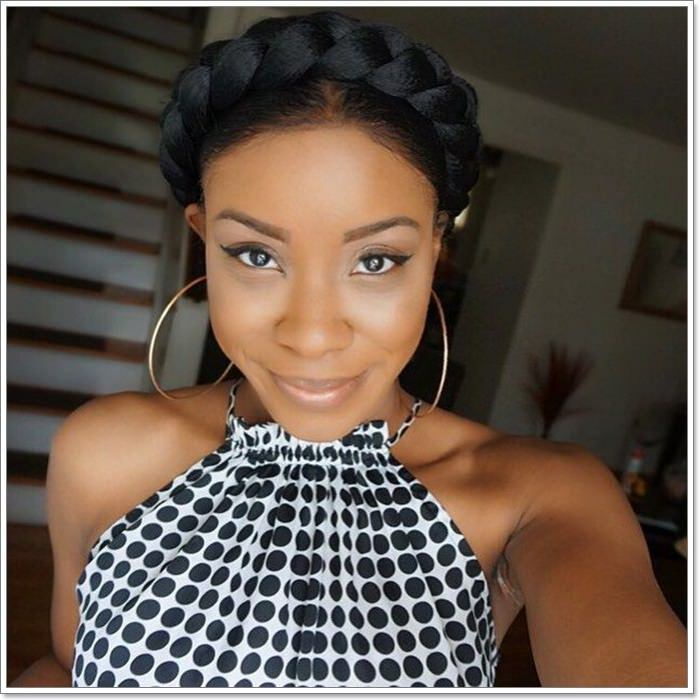 Many women have chosen this hairstyle, especially during summer. It has become one of the most popular hairstyles on sunny days because they are incredibly pretty. 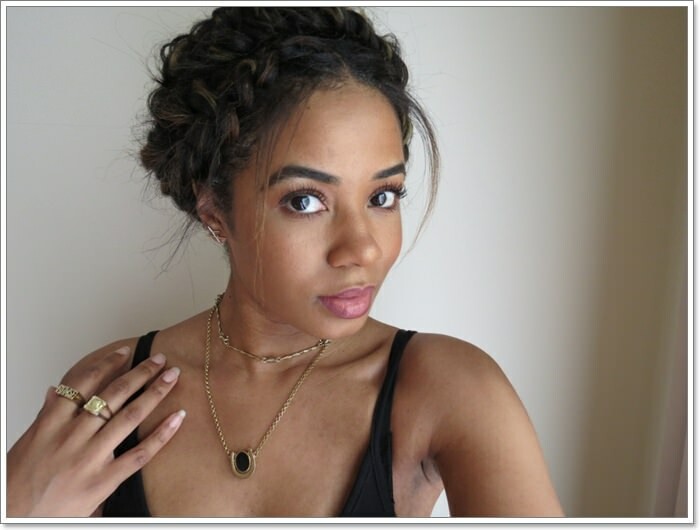 So, if you plan on having braids, these lovely halo braids are your best choice. It could be tricky for you to find a style that fits your taste well. 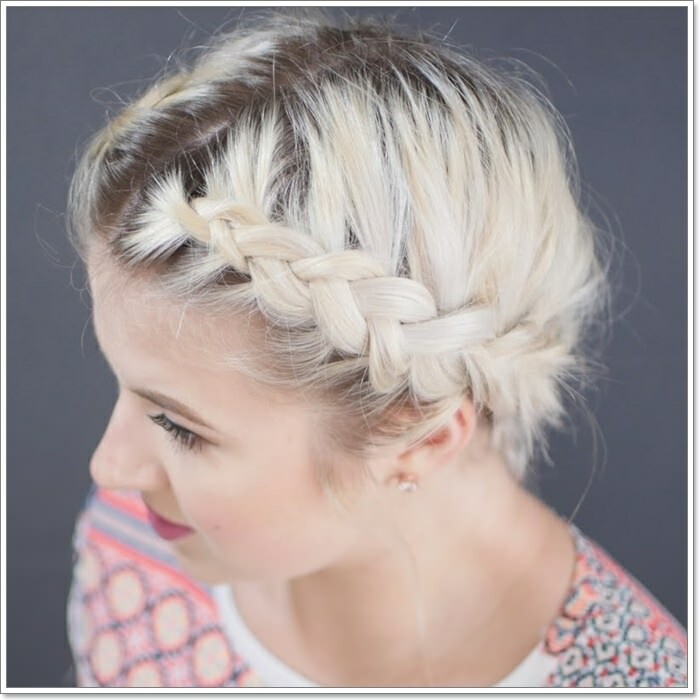 However, we have gathered the best halo braids for women that you will surely love. 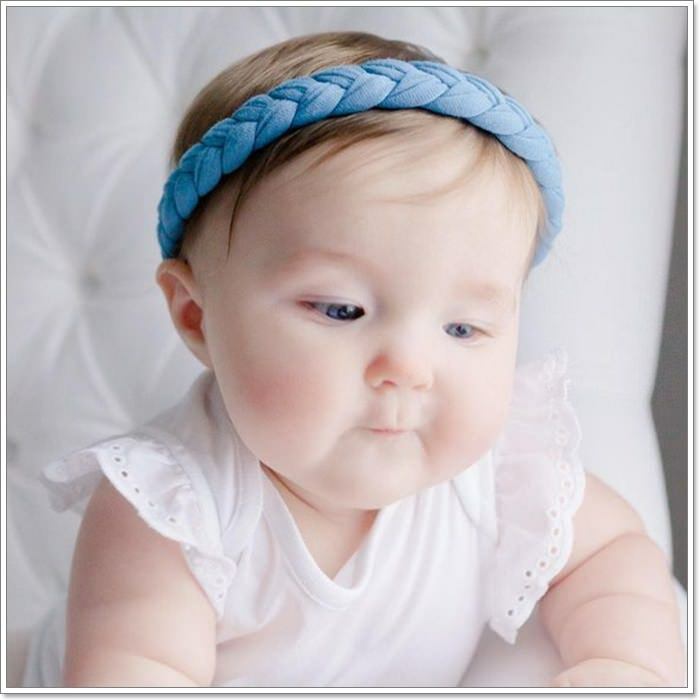 Below are the best and loveliest styles that you may consider. 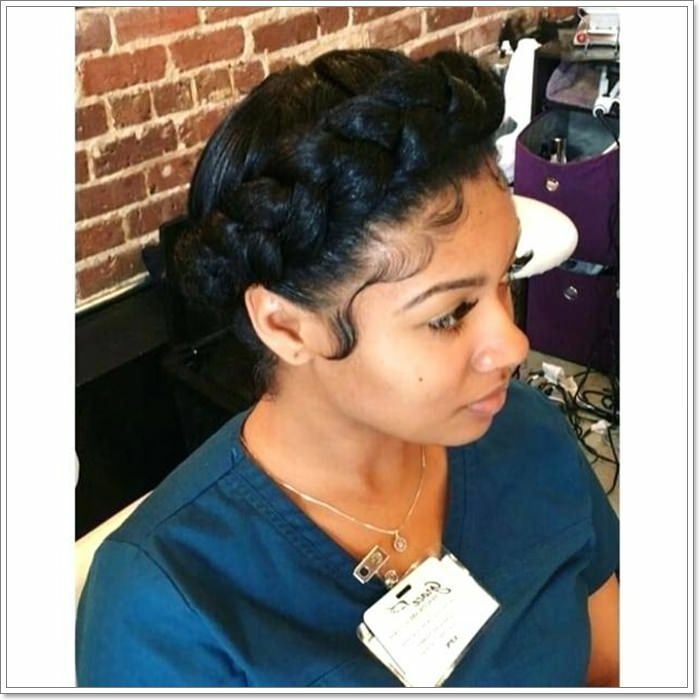 No matter the hair type, halo braids can go well with women who love to explore different hairstyles. 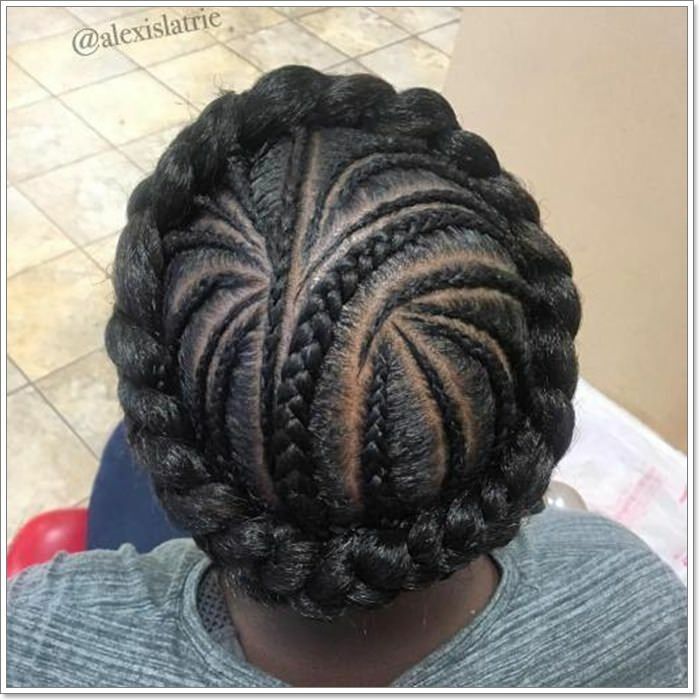 Black women love braids and the beautiful halo braid hairstyle doesn’t come off the list. 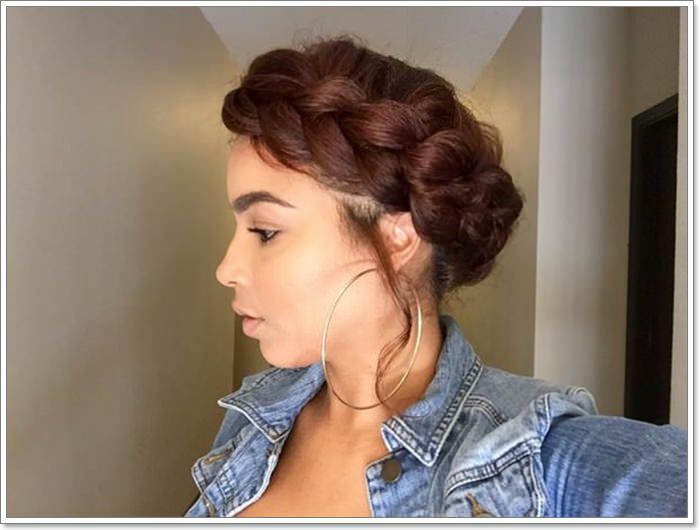 Although women with curly hair are the best recipients of braids, this doesn’t mean that the other hair types can’t don this style. For example, American actress Blake Lively, who has a natural type 2 wavy hair, has worn the incredible halo braids. 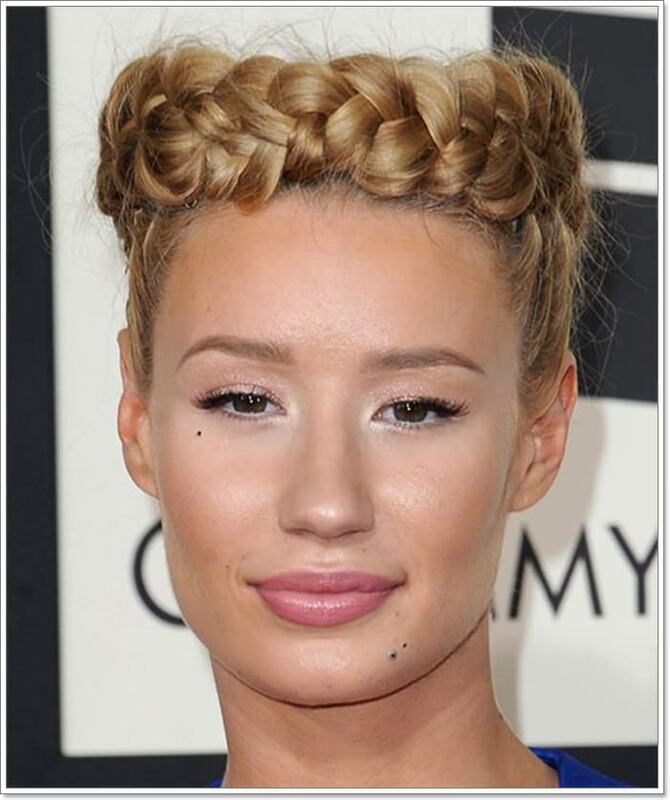 American singer Katy Perry, who is a natural blonde, has also tried wearing this protective style. 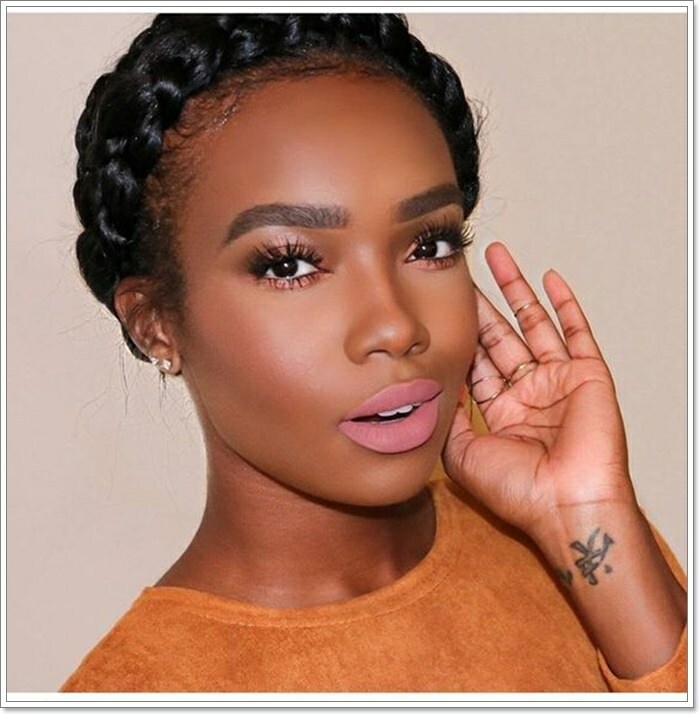 Whether your hair is naturally curly, wavy, straight, or Afro-textured, this hairstyle can definitely go along with your fashion. 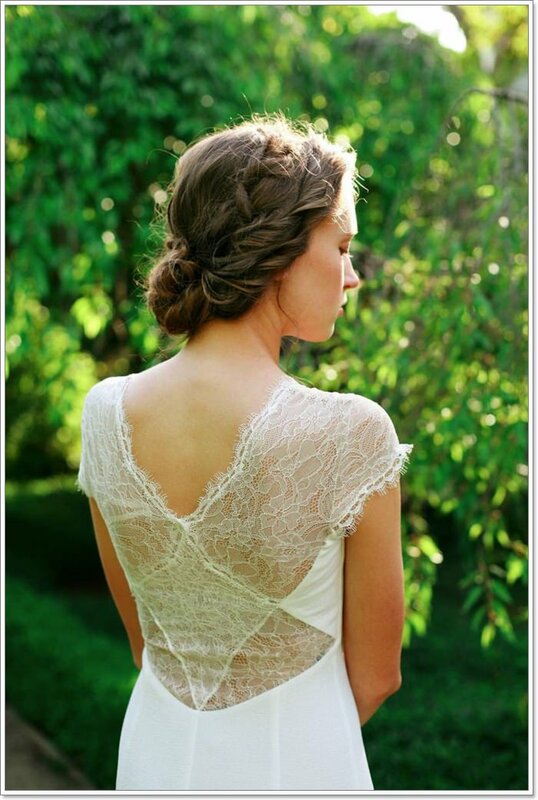 Hairstylists prefer women with longer hair as it needs wrapping around the head. However, others use hair extensions to achieve the look that they want, especially when they have short hair. 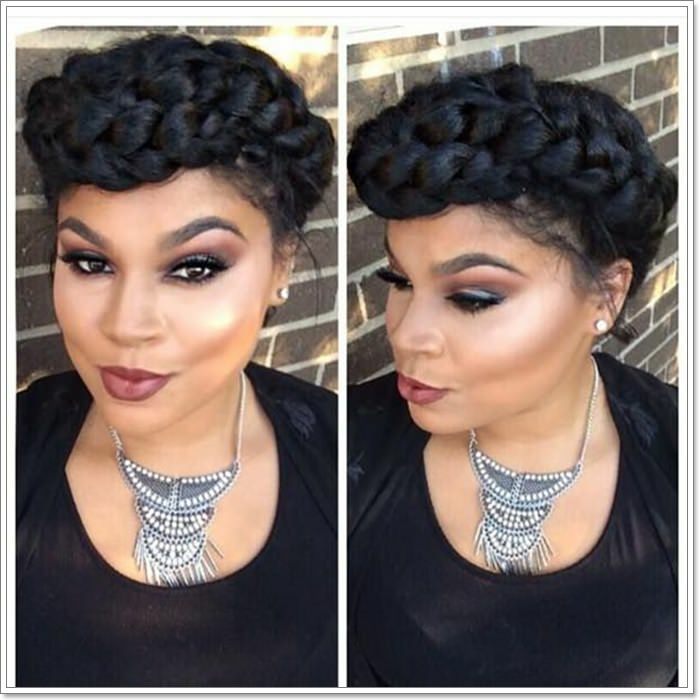 Some women though prefer using their real hair for more authentic-looking halo braids. 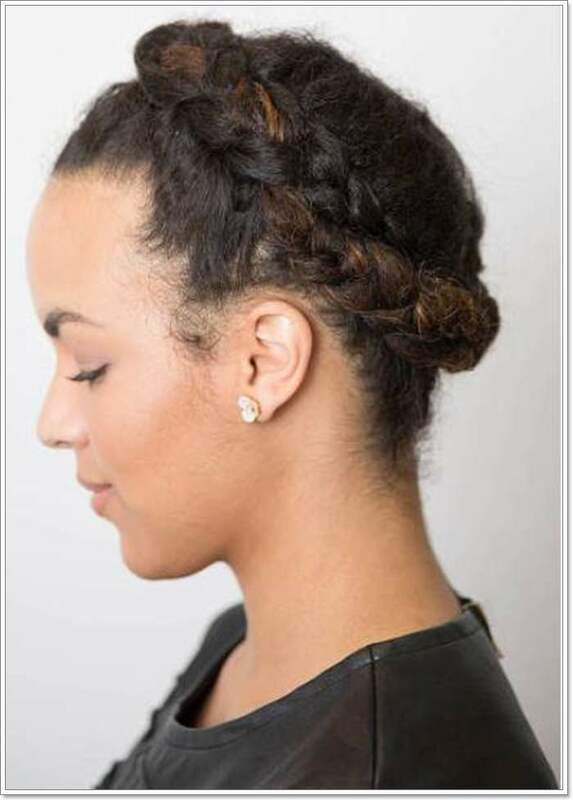 For those that have thick and curly hair, this protective style comes in handy as it’s easier to achieve. 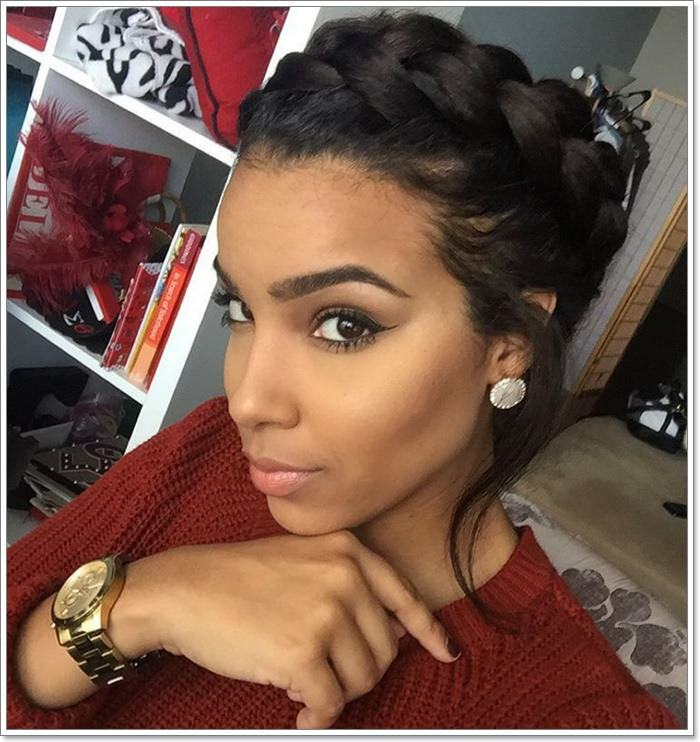 Most women with curls have thick hair and if they decide to have this hairstyle, it’s already effortless to do. 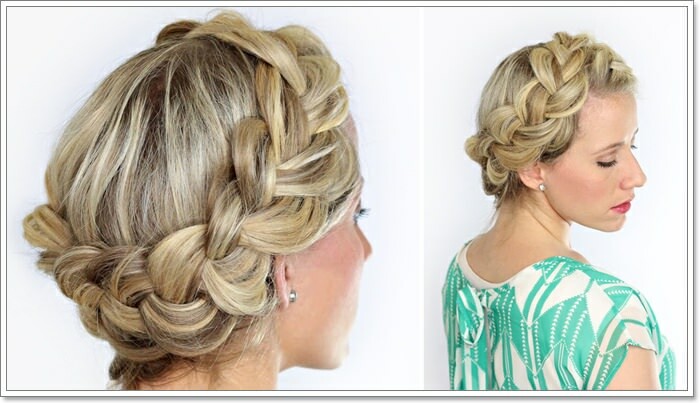 Thick hair is already voluminous and it does wonders on halo braid. 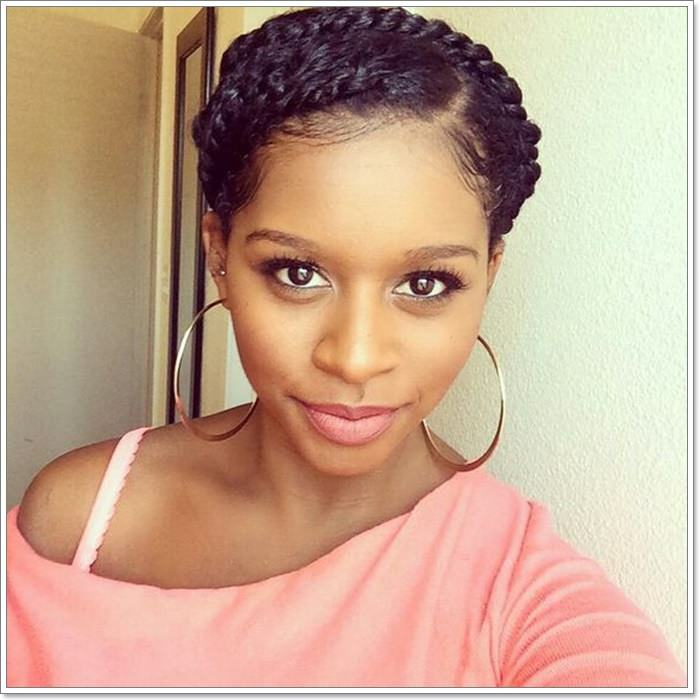 On the other hand, if you have fine and short hair, it is still possible to wear this protective style. You only need a little bit of technique to get the perfect look for this. 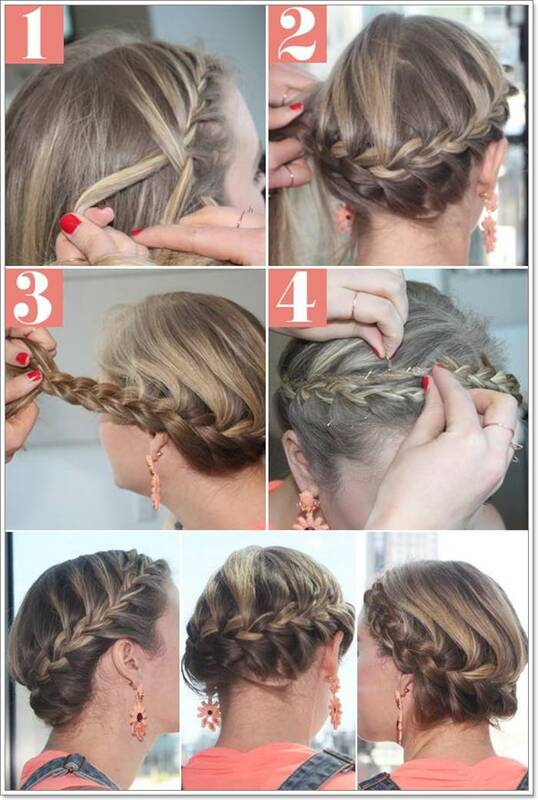 So, instead of wrapping around your head with long braids, try two thin braids. 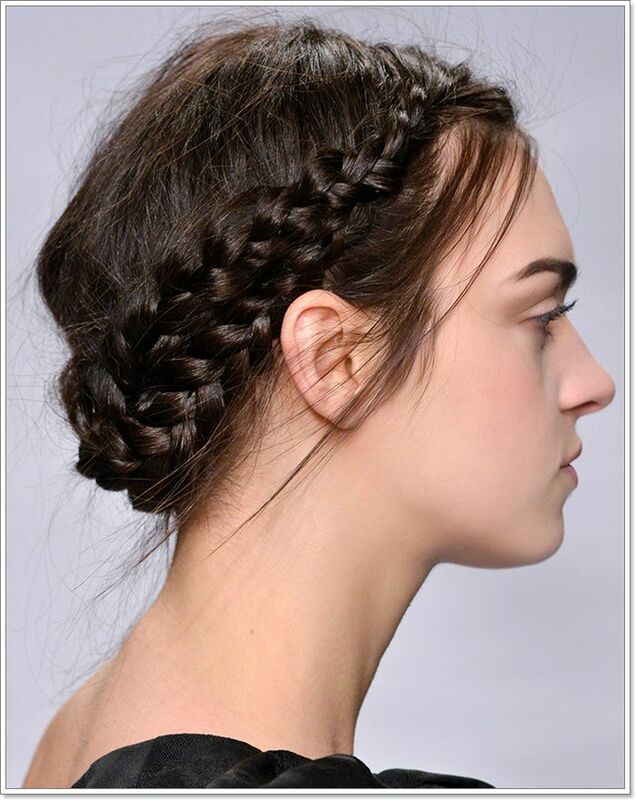 The two thin braids can be tucked beneath each other to create a goddess look – pinning them in place. For those that have long hair, you only have two make one Dutch braid, wrap it around your hairline, and voila, you’re done. Katy Perry has ever-changing hairstyles through the years. She’s one of the most iconic singers who changes her looks every now and then. What’s more notable is her hairstyles and hair colors that she keep changing despite her natural blonde hair. She has rocked almost all hairstyles; yes, all of it and she’s been really amazing wearing them. The Firework singer has donned pixie cut, short and black straight hair, long wavy hair, side-swept, and more. 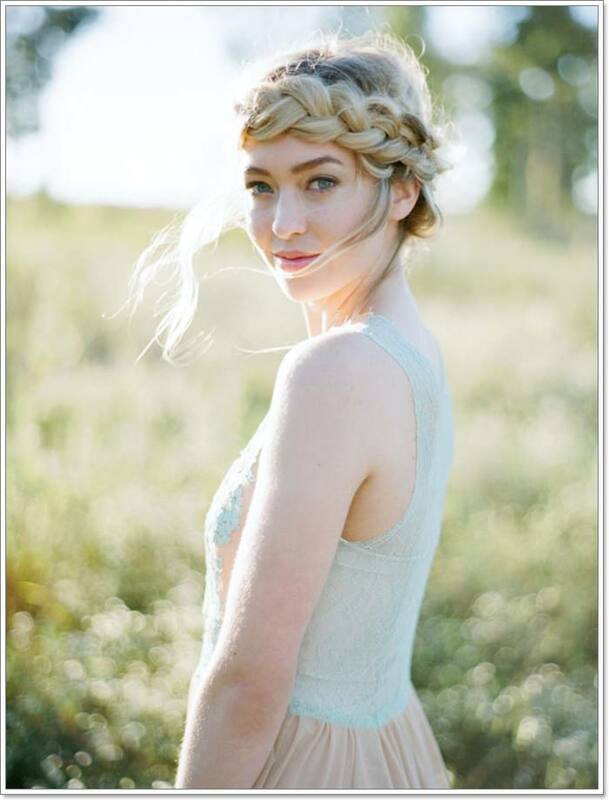 But one of her most astonishing hairstyles is the halo braid like the one in the photo below. Getting this hairstyle isn’t pricey. 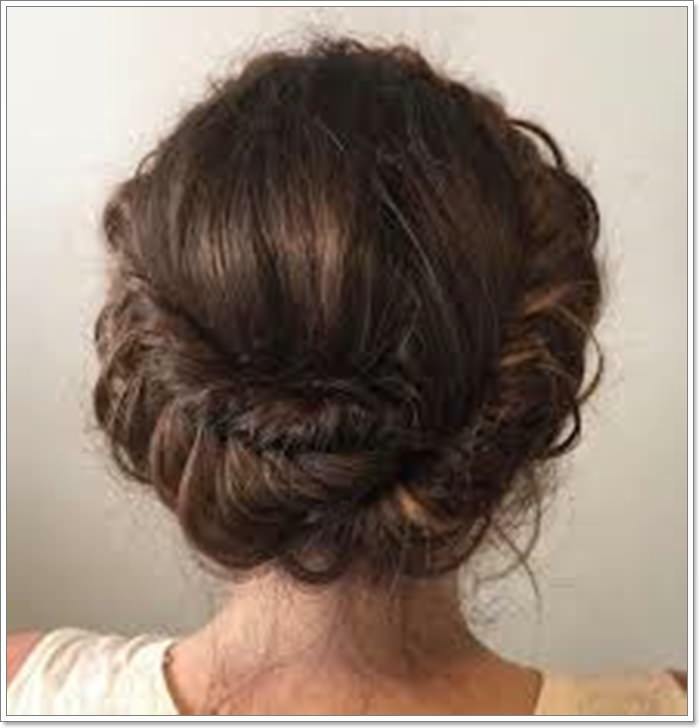 You can always forgo the expensive hair accessories and go for this easy hairstyle. Trust me. It just doesn’t demand too much of your time. But it also makes you look like a fairy who had the chance to escape her fantasy world. 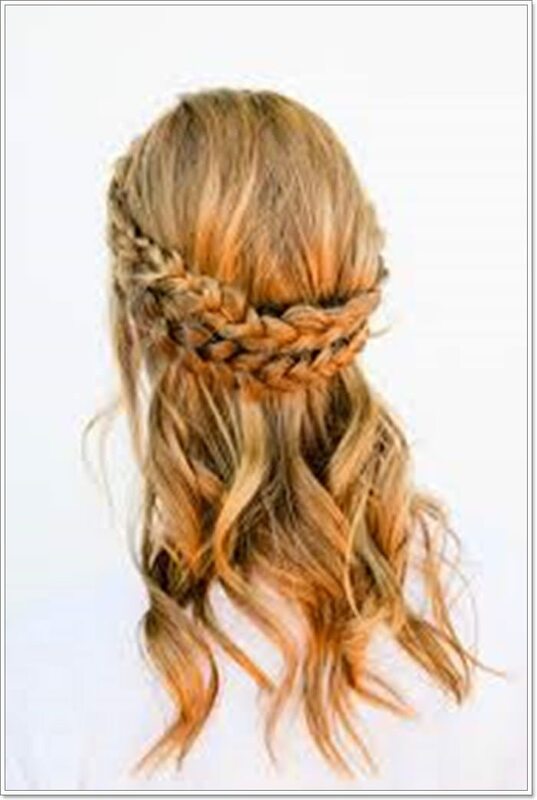 With this hairstyle, you can keep your hair away from your face, especially when you are in a humid location. But it’s not just about that. It’s also about royalty in fashion. Look at Katy Perry. She’s a royalty – in all aspect. The halo braids are very popular among women in the royal family. 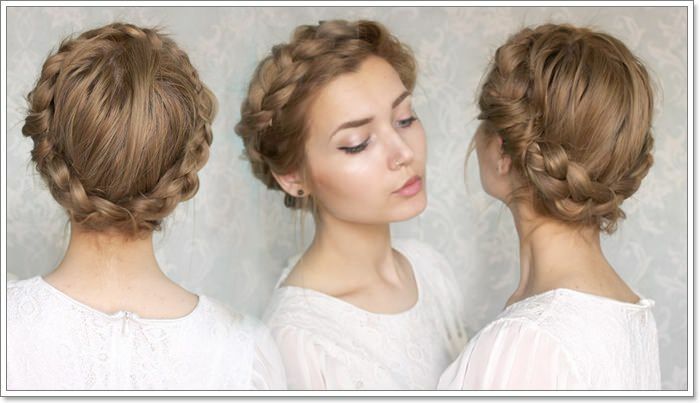 In the ancient times, this has been their hairstyle – creating a royalty look with their royal dresses. 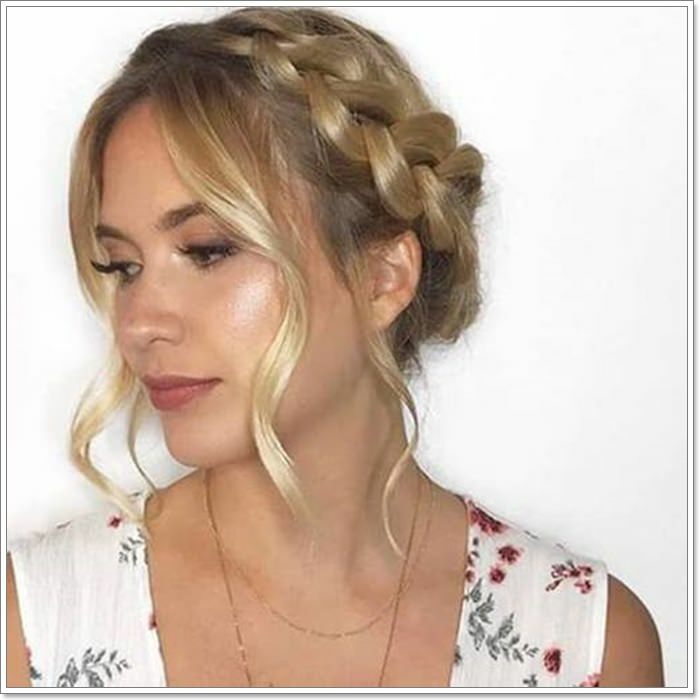 Women of all ages adore this hairstyle and many of them have embraced this braid even until now. It looks classic and stylish that can always go with anything about fashion. Katy Perry is clearly a woman of fashion and her hairstyles can prove it. She is the perfect epitome of beauty, a risk-taker, and very chic in every inch. 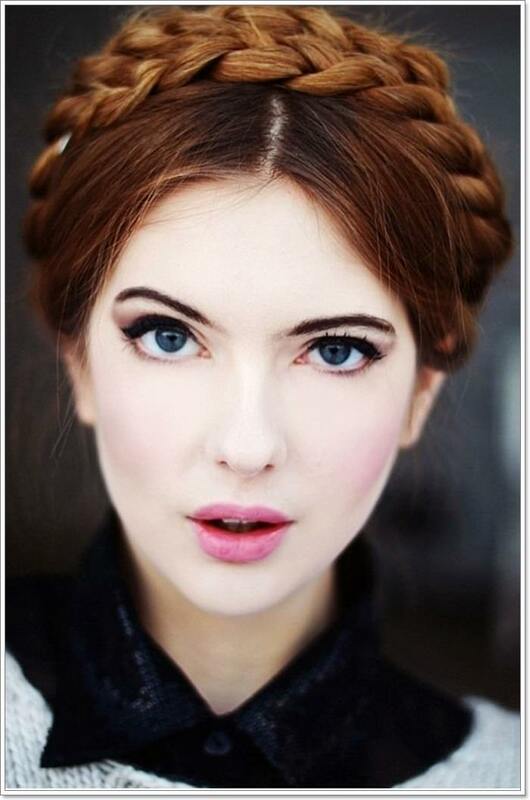 And of course, this photo of her describes the crown braid as a royalty, and stylish too. 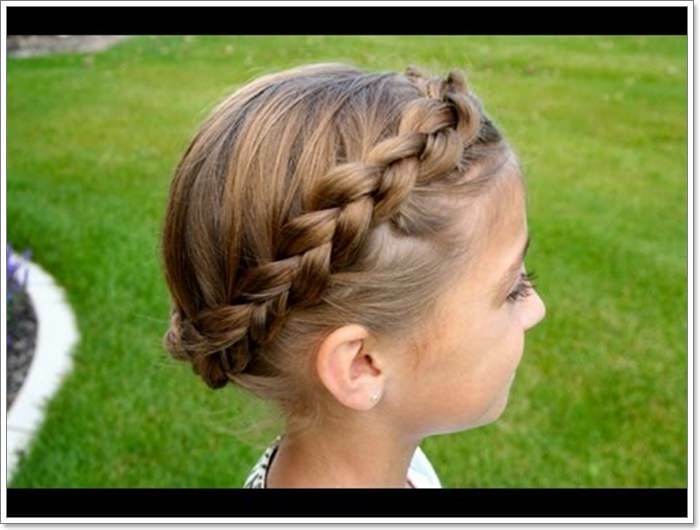 Similar to crown braids, the halo braids are being done through making two Dutch braids and interlocking it together. While it sounds a little complicated, the image below explains it well enough. 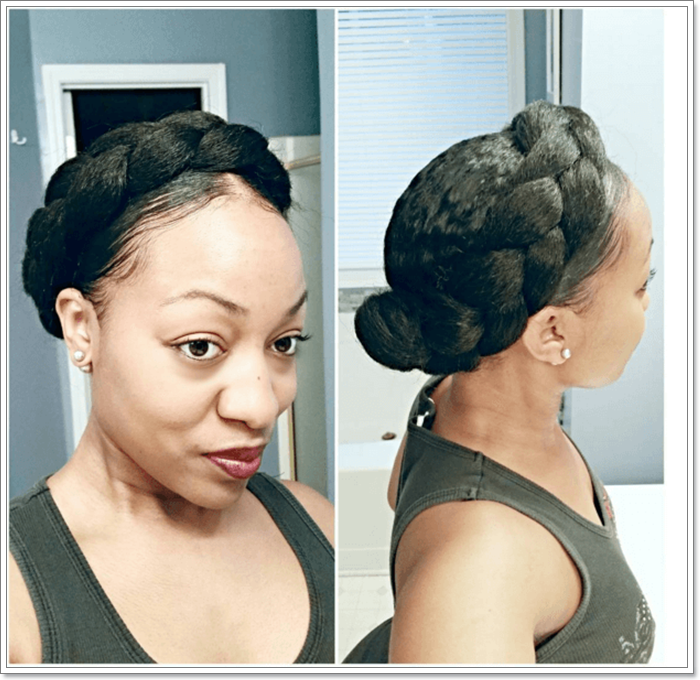 Contrary to other people’s perception, this protective style isn’t just for red carpet. It is not just for women who are members of the royal family. It is for everyone who wants to look more elegant and make the most out of it. 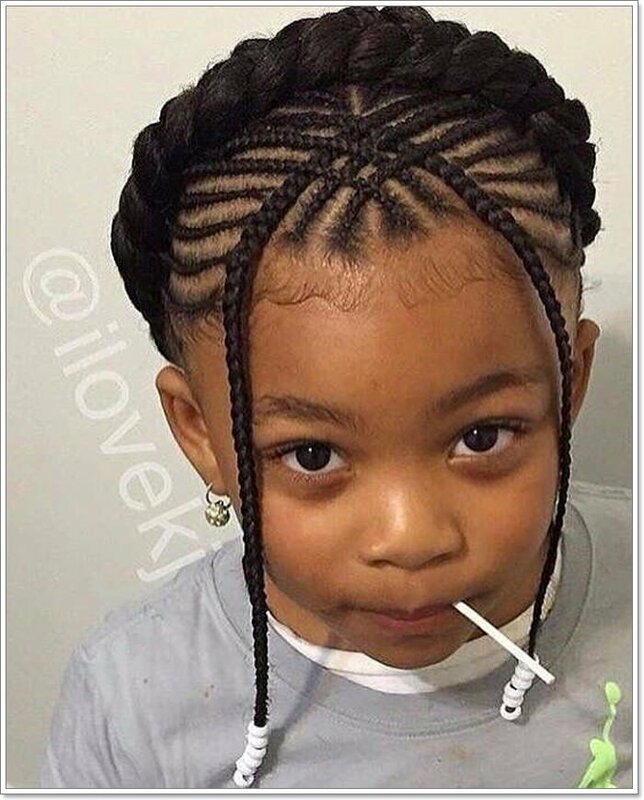 It’s time to change the attitude towards this hairstyle. 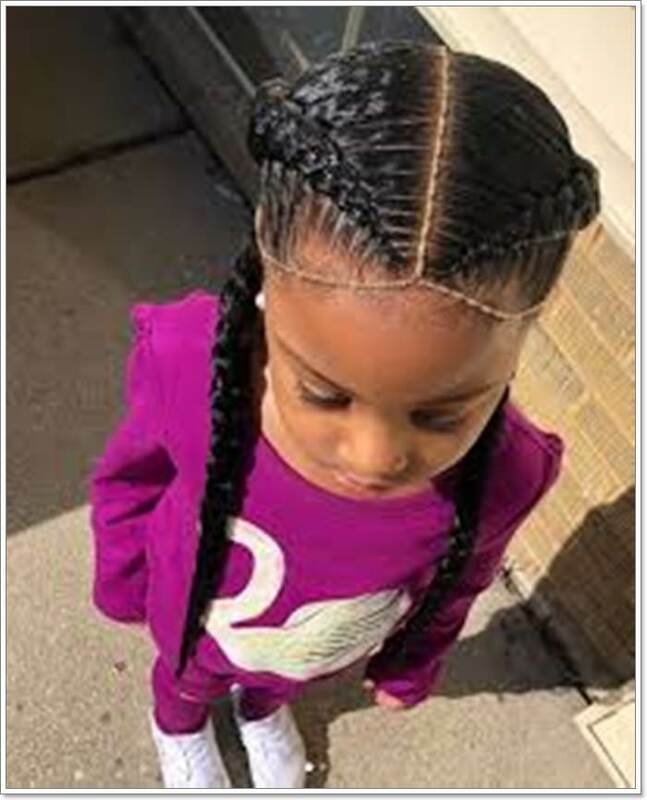 In fact, many little girls love wearing this style even on regular days. 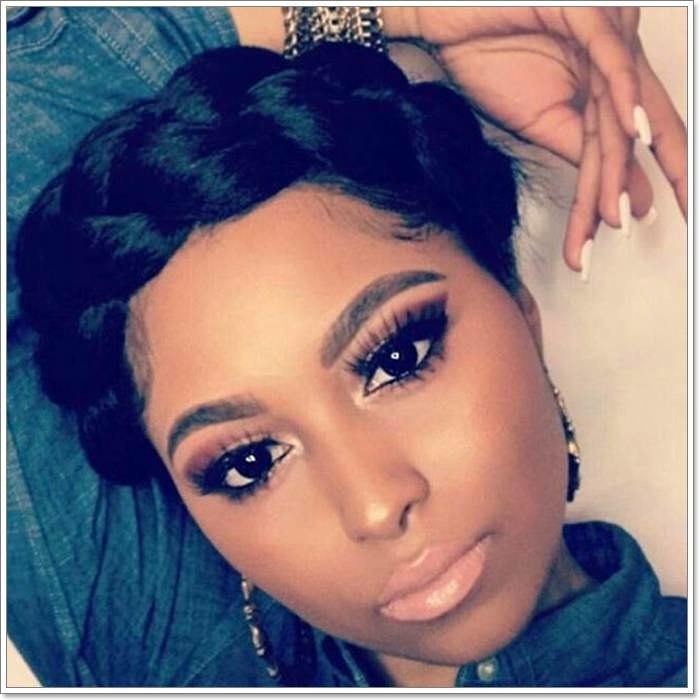 Women, most especially, have been modeling this hairstyle and everyone loves it. 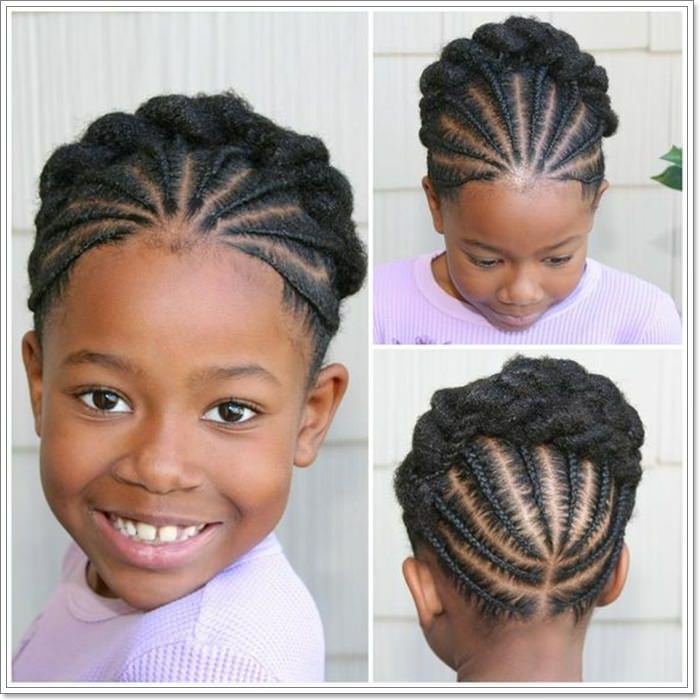 Braids are very historical and many types of braids are linked to the indigenous tribes around the world. Just a quick lesson, braids are being traced around 30,000 years ago. It was when the female figurine Venus of Willendorf or known as the Woman of Willendorf was made at 11.1-centimetre-tall. In 1908, archeologist Joseph Szombathy found the Venus figurine in Willendorf, Austria. Back in the ancient days, braids are used to determine someone’s social status. 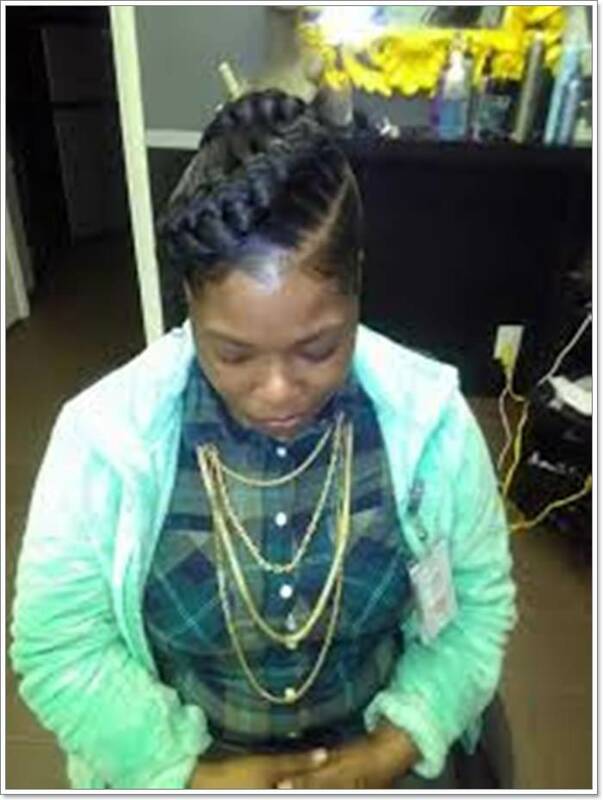 One can identify the person’s socioeconomic status through their hairstyle. Of course, it’s no longer the same in this new digital era where people are already liberated. Nowadays, people are free to wear whatever hairstyle they want without having to worry about their social status. 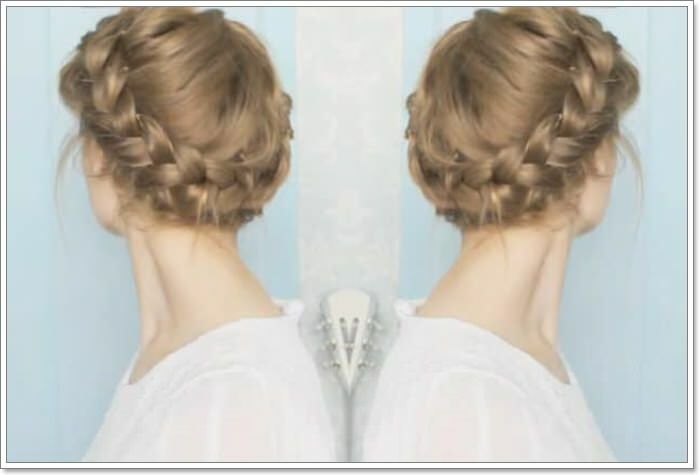 Famous celebrities such as the Olsen twins; Mary-Kate and Ashley have both enjoyed wearing halo braids. American actress Sienna Miller has also worn the same hairstyle and everyone loved it. 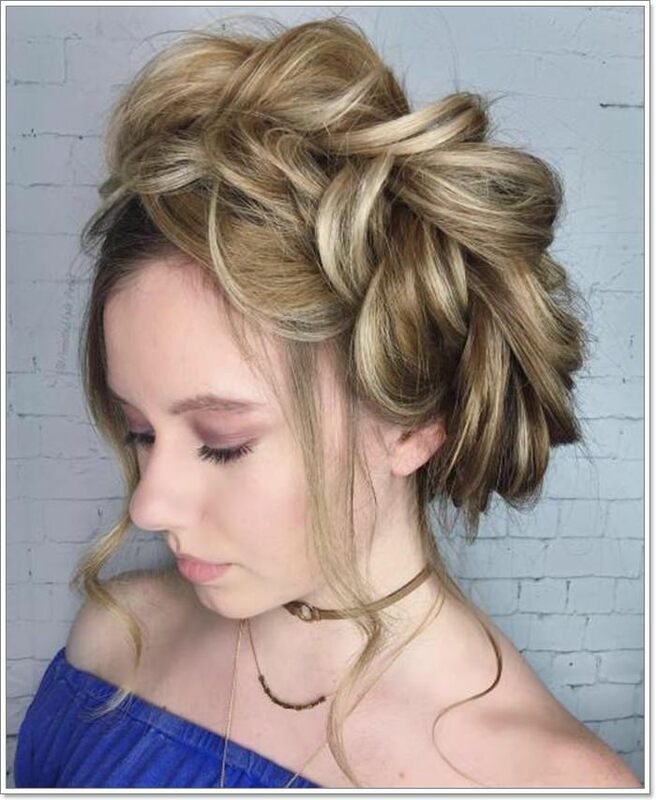 There are plenty of video tutorials out there that you can check out if you plan on wearing this style. That is, of course, if you think that the image below isn’t enough. 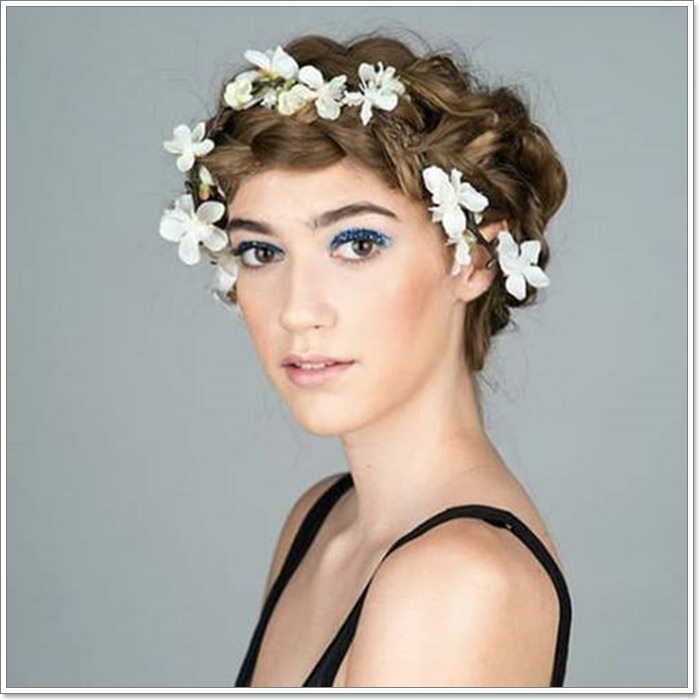 There have been a lot of hairstyles that models wear on the runway or even on fashion pictorials. 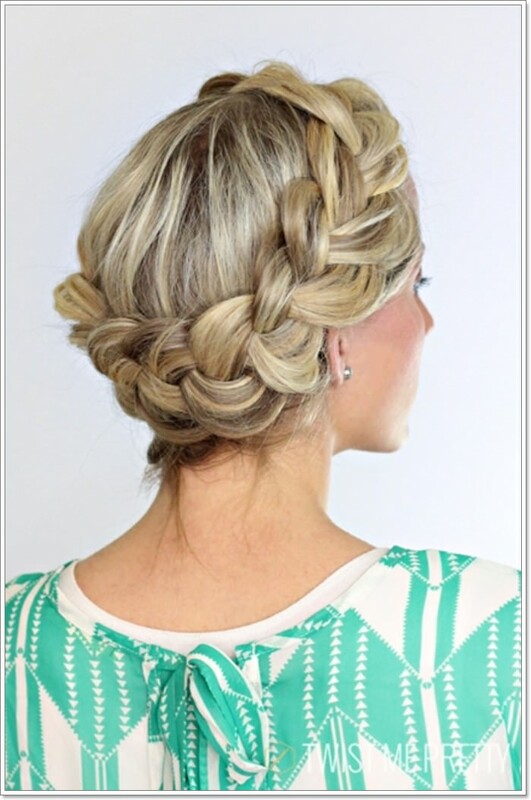 This includes the halo braids that everyone loves. 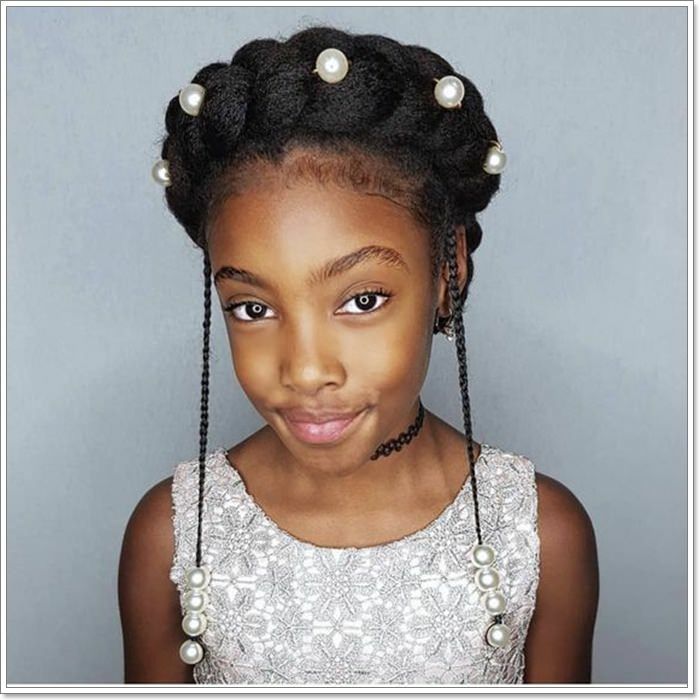 While it is indeed for all women and little girls, the style is also rocking the runway. This chic-summery look goes well with whatever outfit you have. A lot of models have sported the hairstyle, including Victoria’s Secret model Bar Refaeli. The 33-year-old Israeli supermodel had been spotted wearing the braids at a summer event. 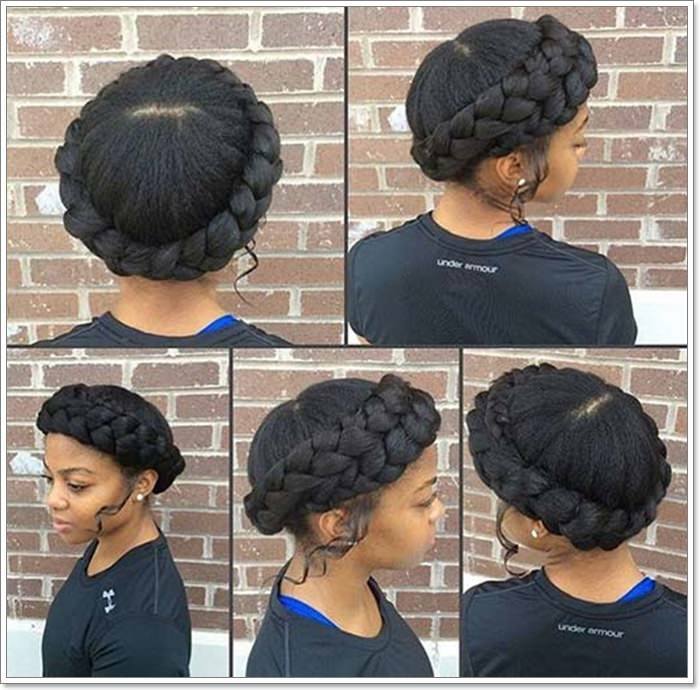 She slew it – proving that this hairstyle can go with any fashion that women would want to have. Supermodels Tyra Banks, Naomi Campbell, Chrissy Teigen, Adriana Lima, Alessandra Ambrosio, Miranda Kerr, and more have worn halo braids. These supermodels don’t share the same hair texture, but they all have enjoyed the hairstyle. 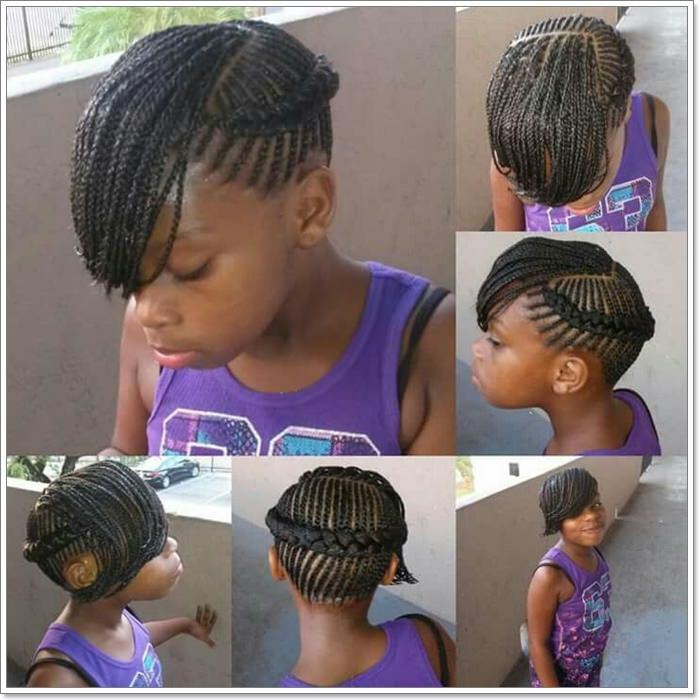 Yes, anyone who loves trying out different types of braids can also take pleasure in this protective style. 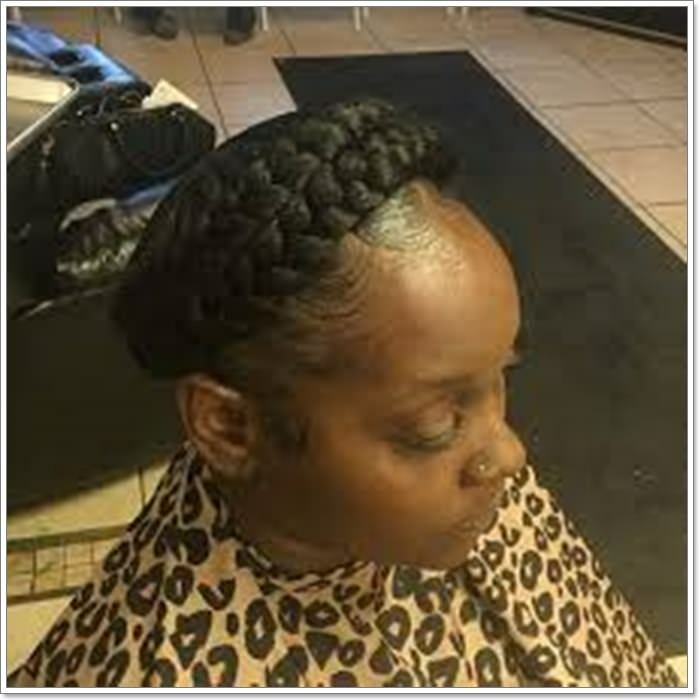 Many people wear protective styles to keep their hair healthy – safe from damages and breakage. 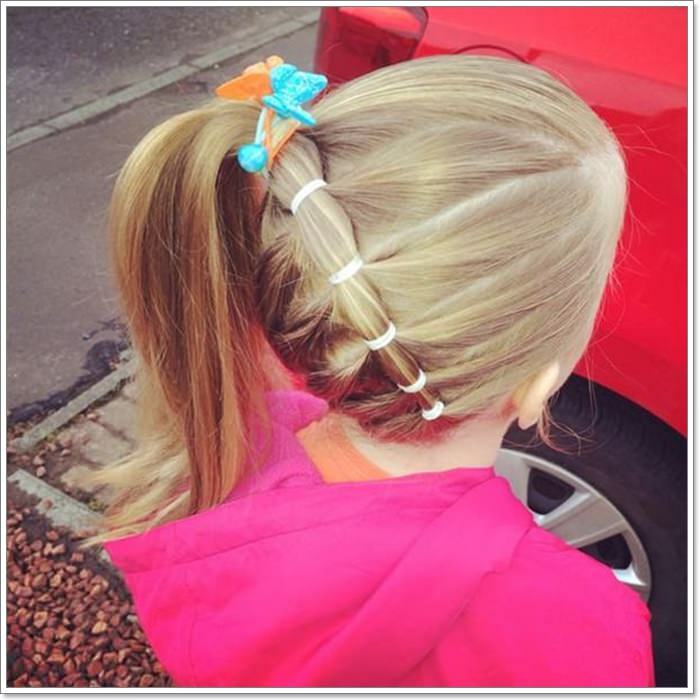 Wearing these keep your hair’s ends protected as they are being tucked away in a safe place. 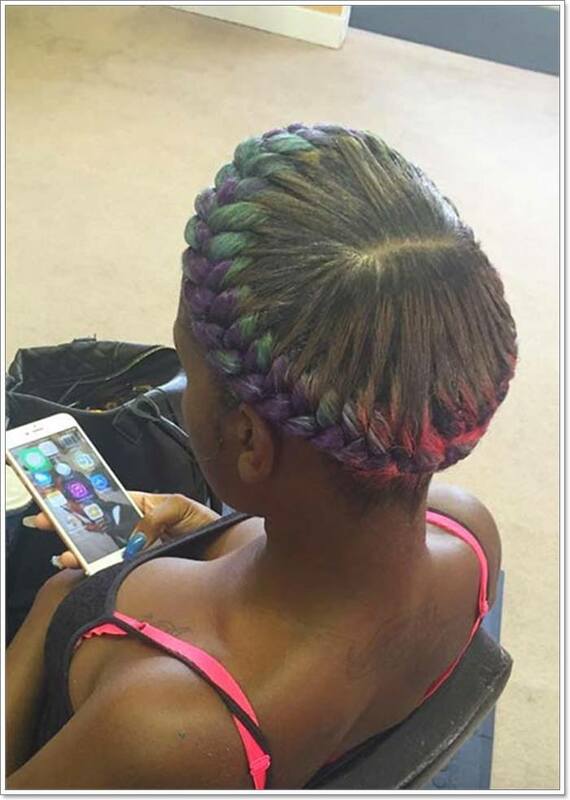 However, many people have misunderstood the concept of protective styles, thinking that these are purely fashion. 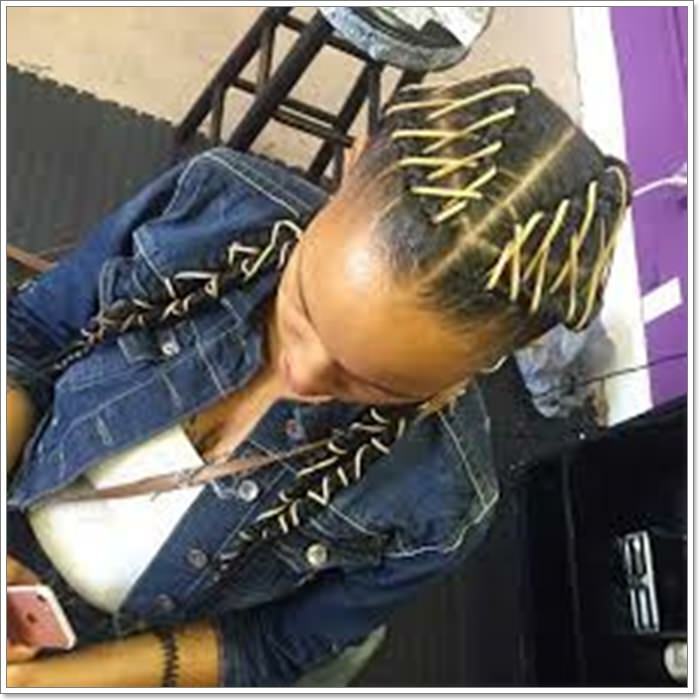 While it does wonders in the fashion world, a protective style also helps your hair’s growth healthier and manageable. It helps lessen the possibilities of your hair strands to suffer from knots or tangles that can definitely cause damage or breakage. 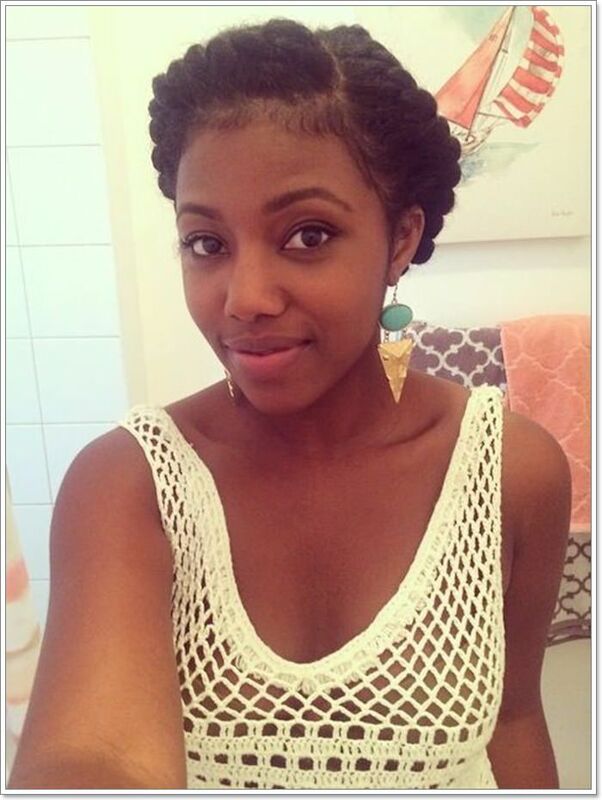 If you wear a protective style, it should be a part of your natural hair care. Think of it as your daily household chore that needs your time. Protective styles require minimal time and have low maintenance. 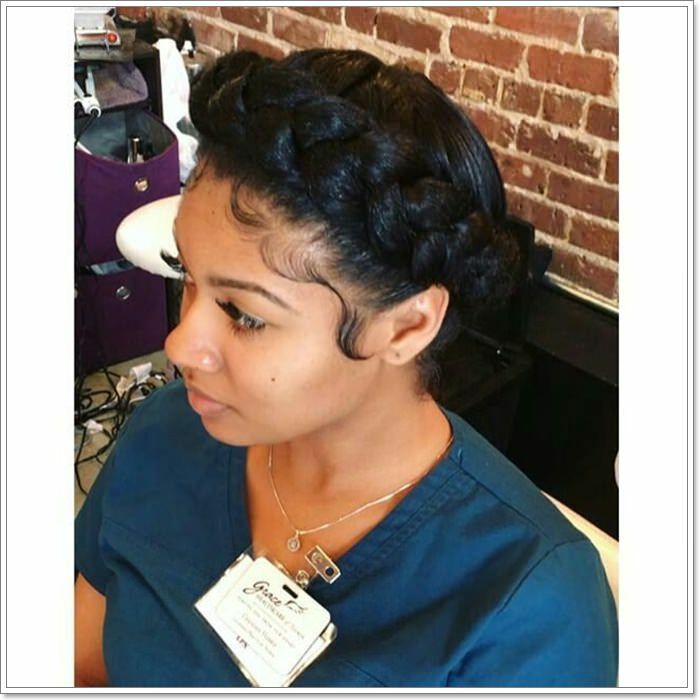 So, if you plan on having one, think about the stunning halo braids for women. 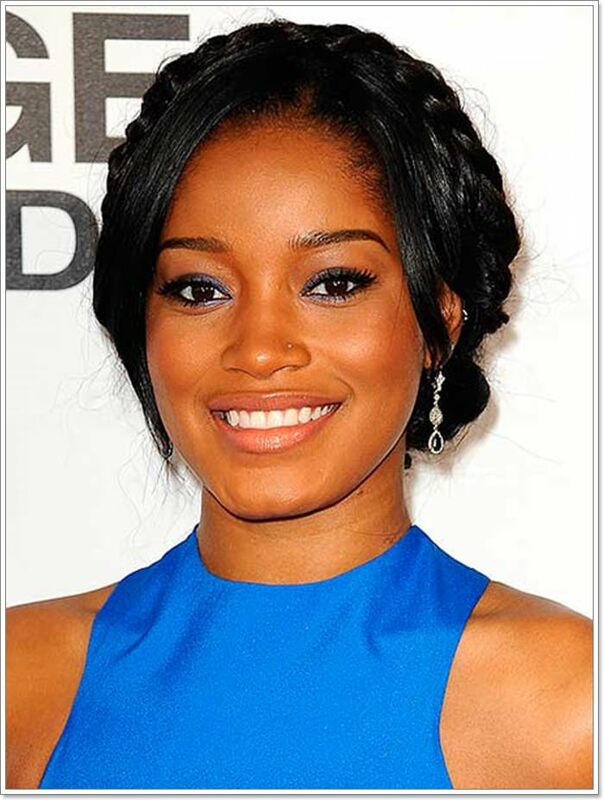 This is Keke Palmer and she’s clearly rocking this hairstyle! 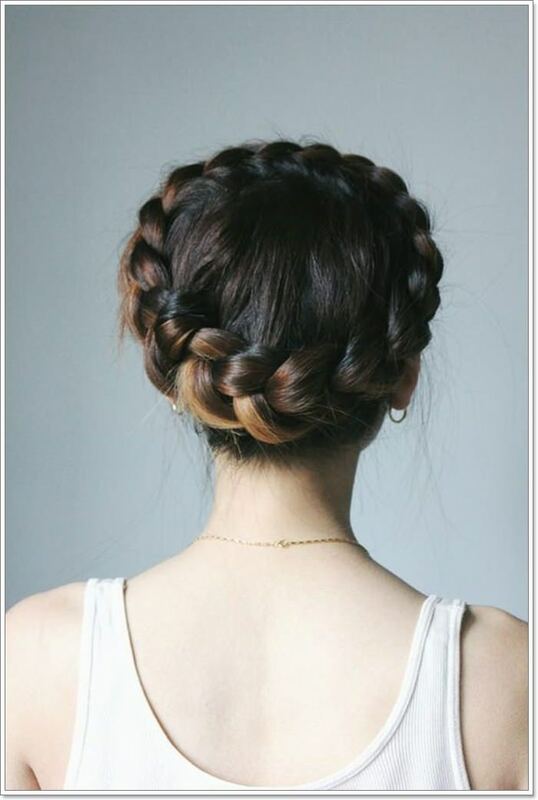 While it’s absolutely stunning to wear this hairstyle even without hair accessories, having one is beautiful too. 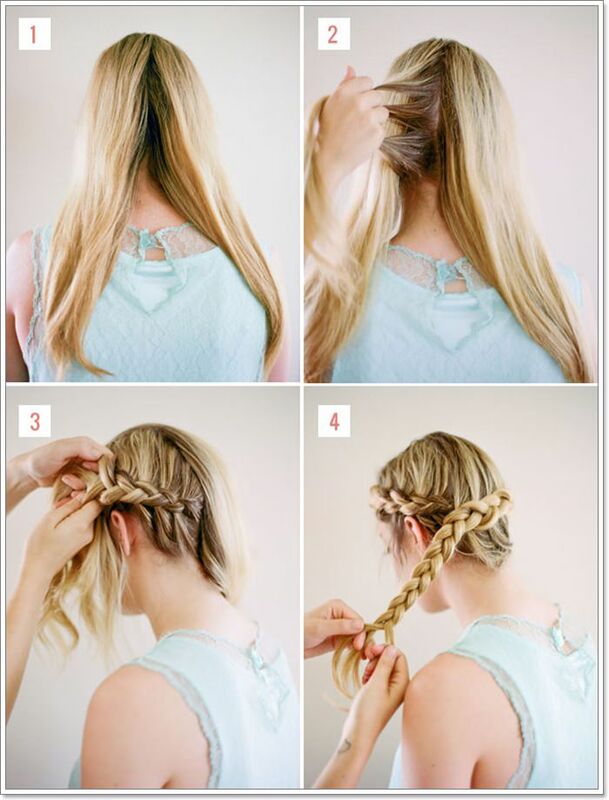 Well, this braid is already a hair accessory, but it’s even better when you see some cute hair ornaments on your head. 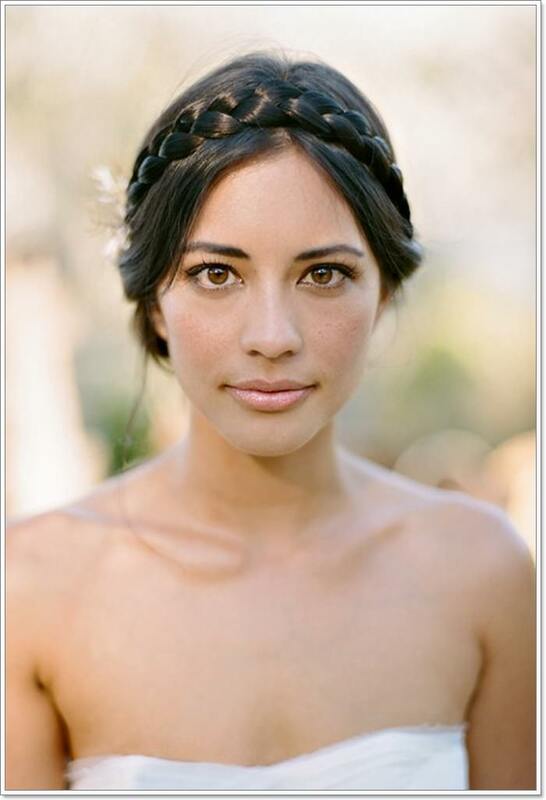 Some women, especially during wedding occasions adorn their braids with hair accessories. 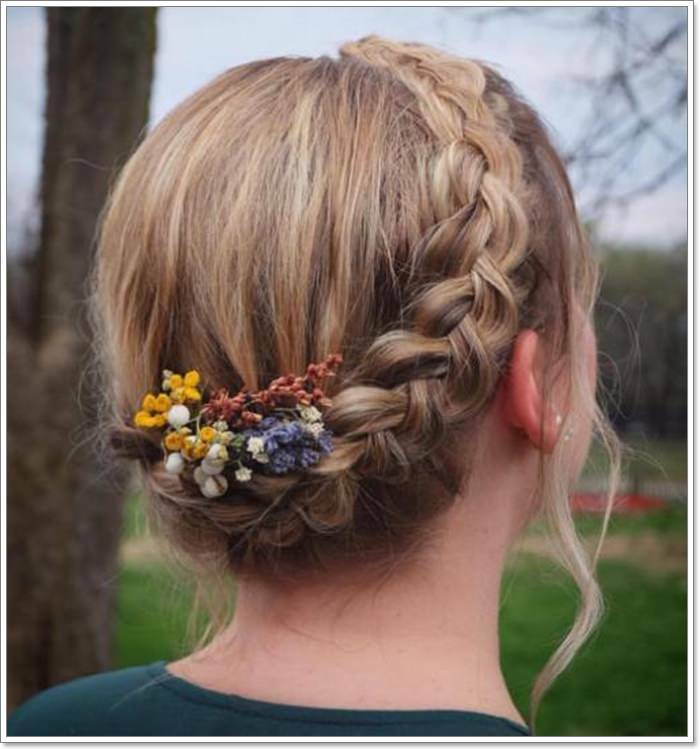 Flowers, hair clips, bobby pins with different designs, and even beads are used. 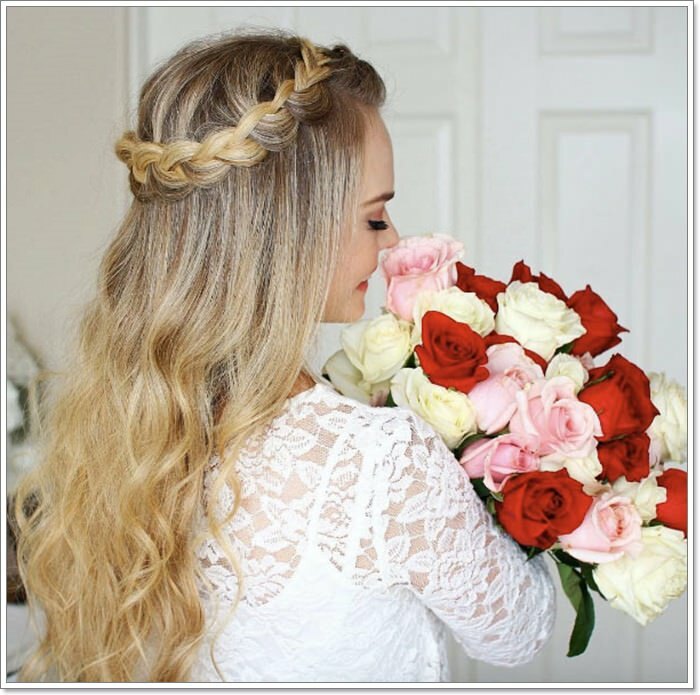 For a more goddess look, flowers are great as the one in the photo below. 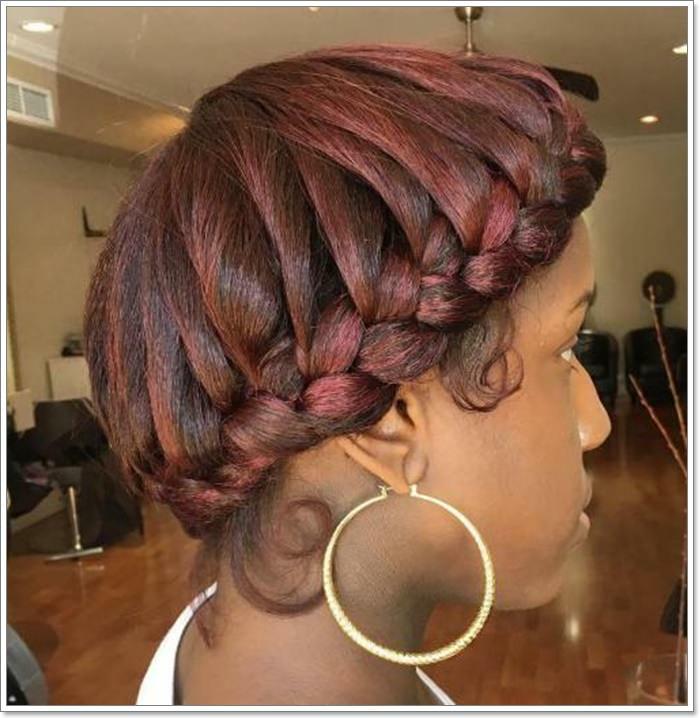 Others put hair accessories to close the ends of their hair after the braids are installed. 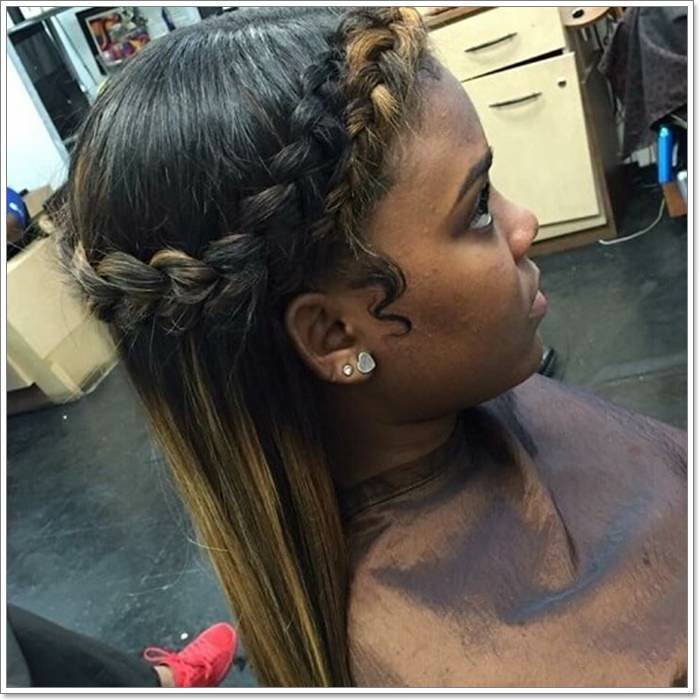 This is to put all your hair strands in place with the two braids that are interlocked with each other. 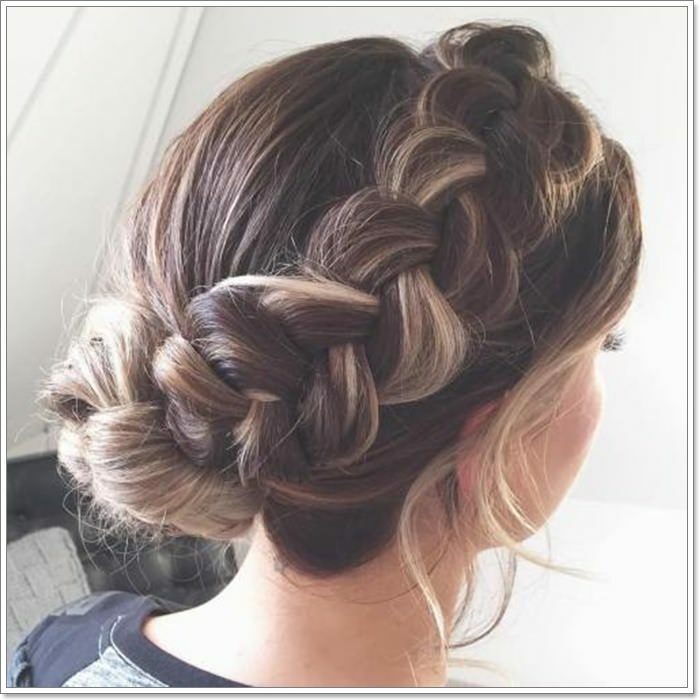 Since women love beautiful things, they never skip trying out hairstyles that won’t go out of fashion. 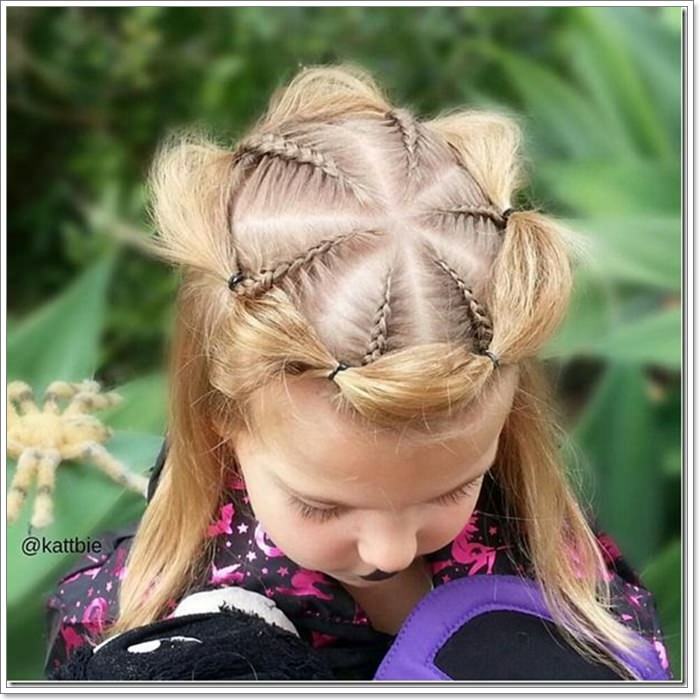 Of course, this hairstyle is always out of the ordinary as you can always add an extra touch of embellishment. 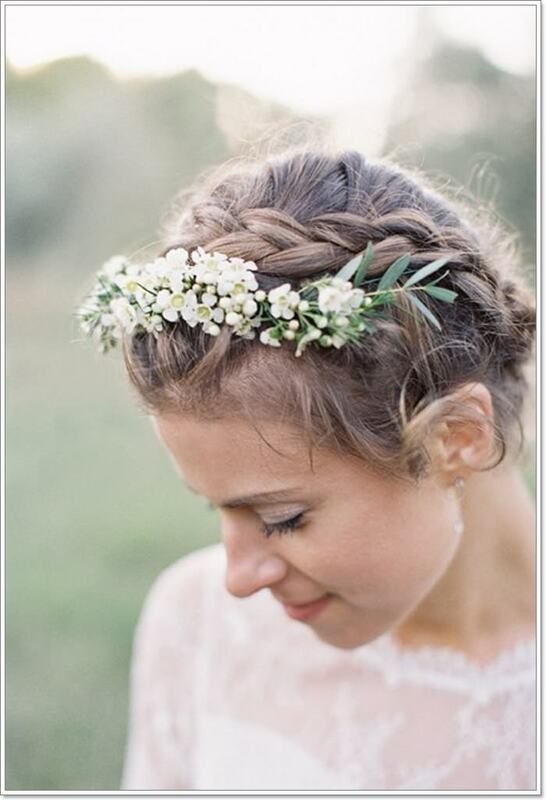 Flowers are the best decorative for this hair braid as it is very organic and effortlessly beautiful. They can be placed without patterns to follow and they will already look dazzling and magnificent. But bobby pins with designs are great too. There are tons of different designs out there that you can choose from. Angled bobby pins are also cute. Hair clips like leaves, feathers, hearts, and more are stunning too. What you need is the right person to do it for you. Or you can do it yourself if you have the gifted hands. 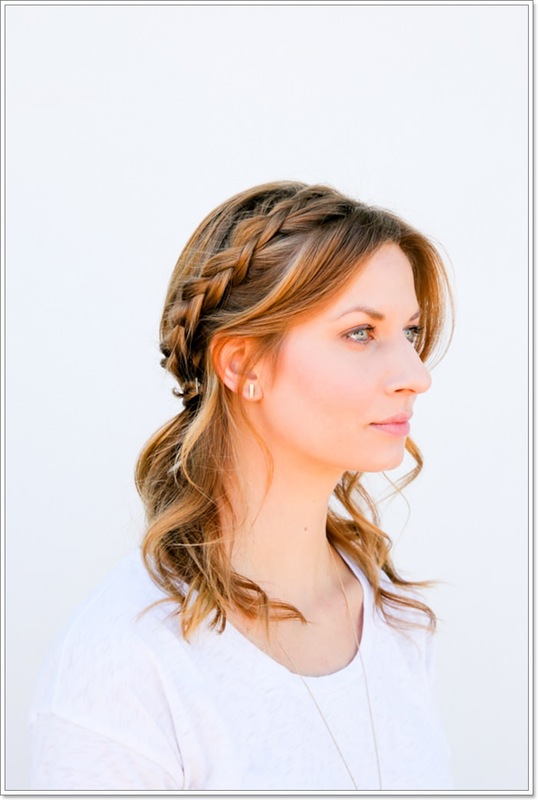 It may sound complicated, but halo braids are very easy to make. The sky is the limit for these accessories. You only have to pick the one that fits you well. Keep scrolling below until you see Queen Bey. I can see your halo! Beyonce undoubtedly brings elegance in all aspect. It’s pretty hard to keep track of her ever-changing looks – her hairstyle particularly. She has probably worn all hairstyles even before she was Beyonce. While we have different tastes when it comes to her hairstyles, the photo below is stunning. 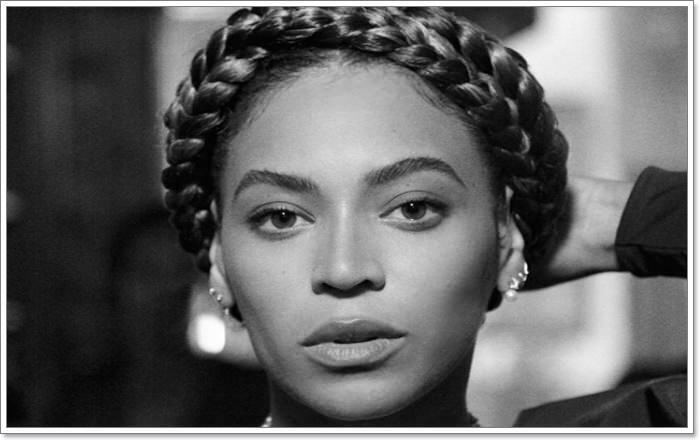 Queen Bey has been seen wearing halo braids a few times. Well, she is the Halo singer and she wanted to make sure that she can feel your halo. Right. The American singer-songwriter never fails to look amazing even on regular days. She embodies the meaning of beauty and fashion through the years. 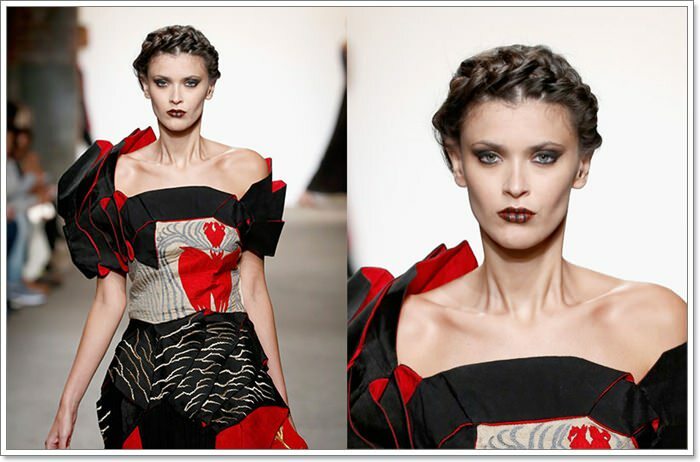 Her career, which is already in the limelight has inspired the fashion industry. Generally speaking, she is everyone’s favorite. She moves with passion and her music is something you wouldn’t want to miss listening to. Beyonce may have worn wigs in her entire career, but she has been rocking her different hairstyles in most events and occasions. She makes headlines as soon as she steps into the spotlight. 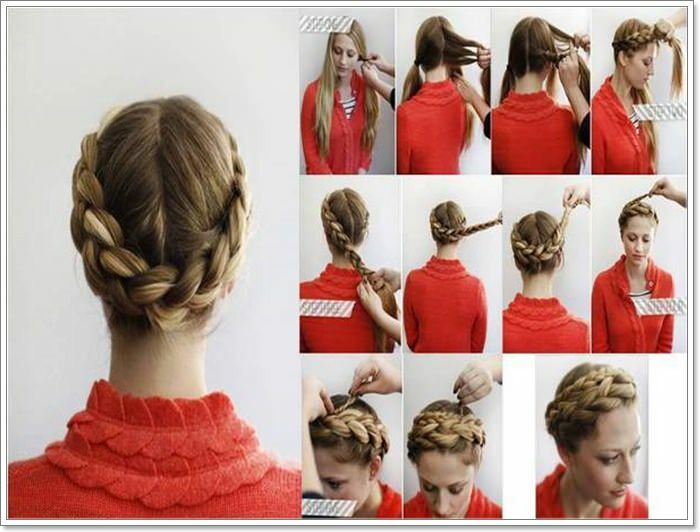 Like I said earlier, it sounds complicated to read on how to make the halo braids. I understand that visual is better than just reading. 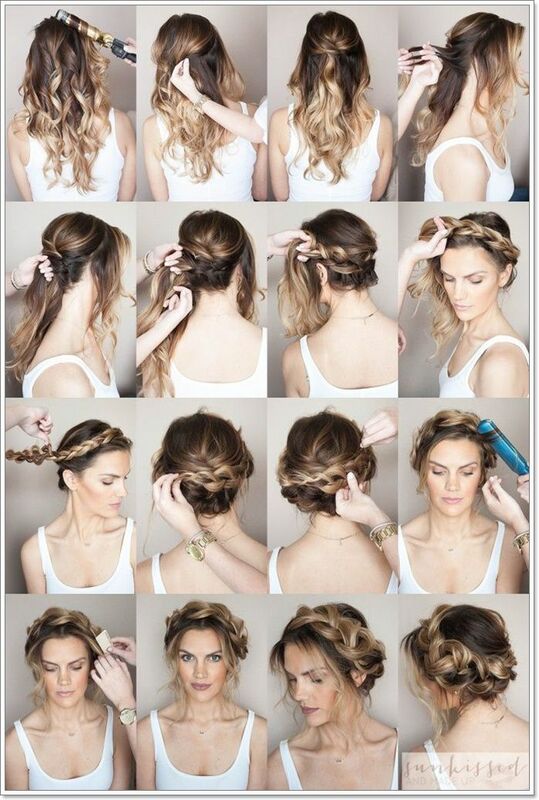 That’s why we have rounded-up some photos with tutorials for your ease. It’s tough to surf the internet, especially when you can’t find a page that has everything you need. The photo below speaks everything and if you can’t do it by yourself, ask someone who has gifted hands to do it. 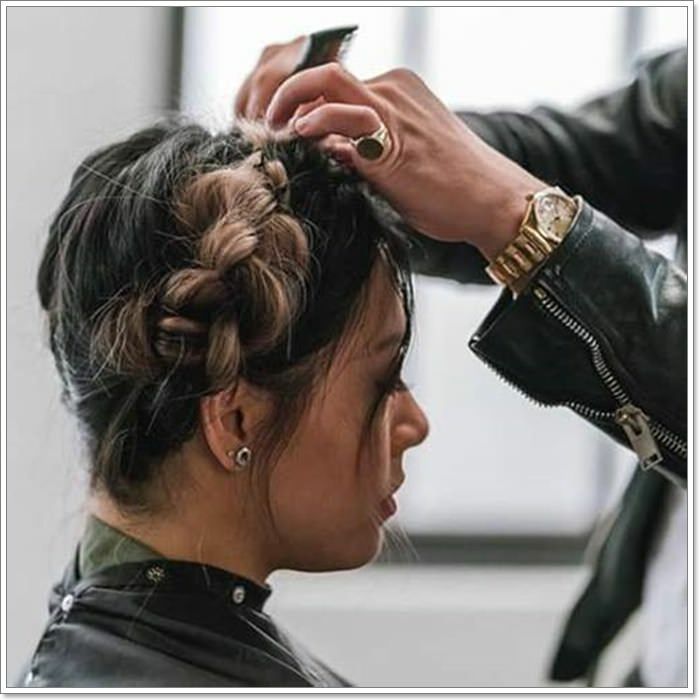 It’s important that your hairstylist knows the hairstyle to ensure the safety of your hair. 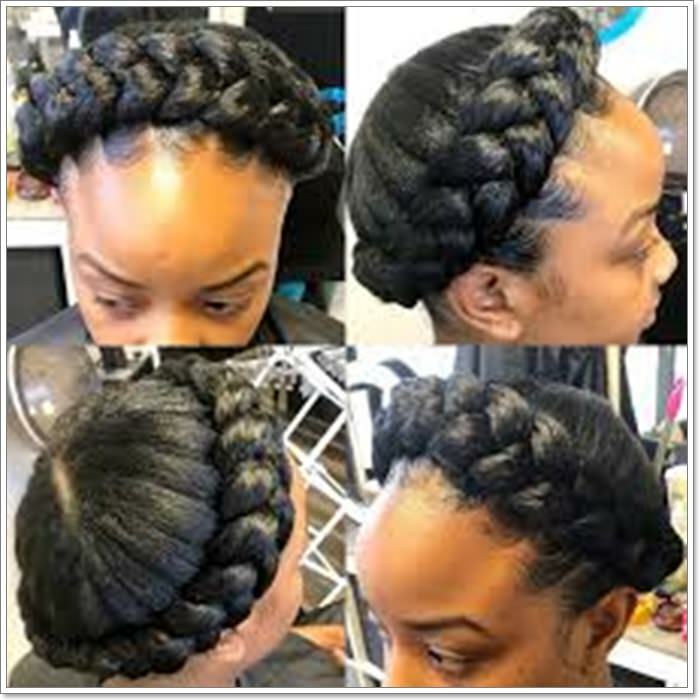 Remember it’s not just a plain hairstyle, but also a protective style, which protects your ends from breakage or damage. 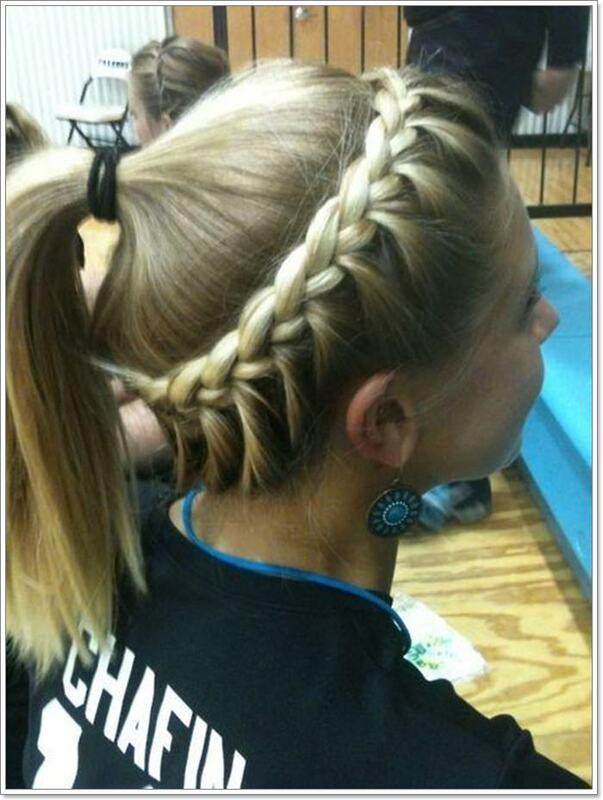 This is why we use safety bobby pins to lock the two braids into each other so they won’t fall off. 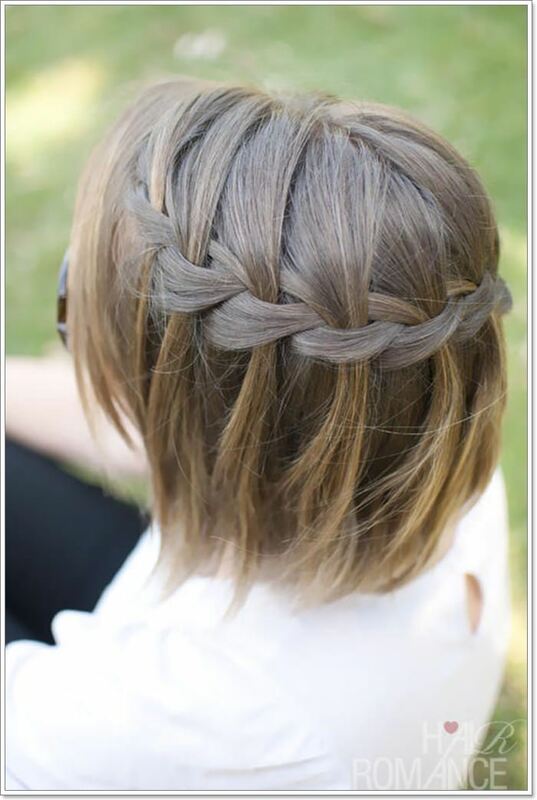 If you want to copy the style in the photo below, but you have short hair, don’t fret. 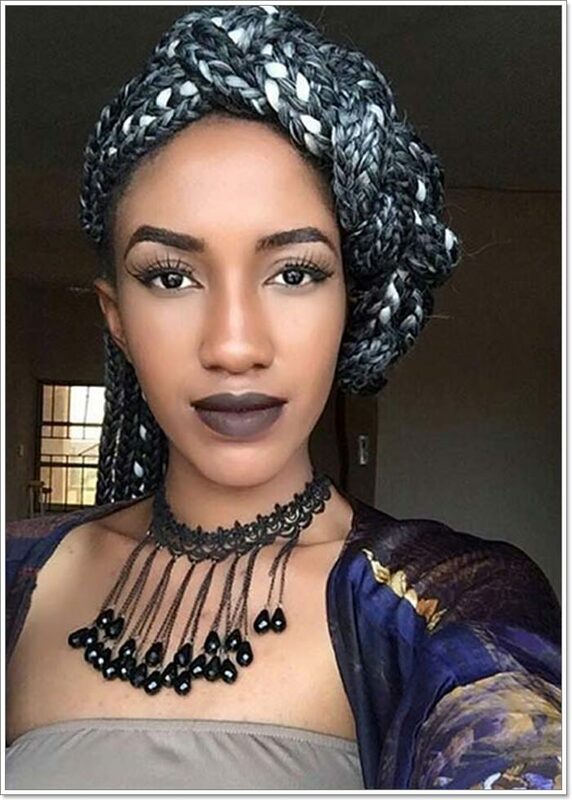 You can use a wig to achieve this look. 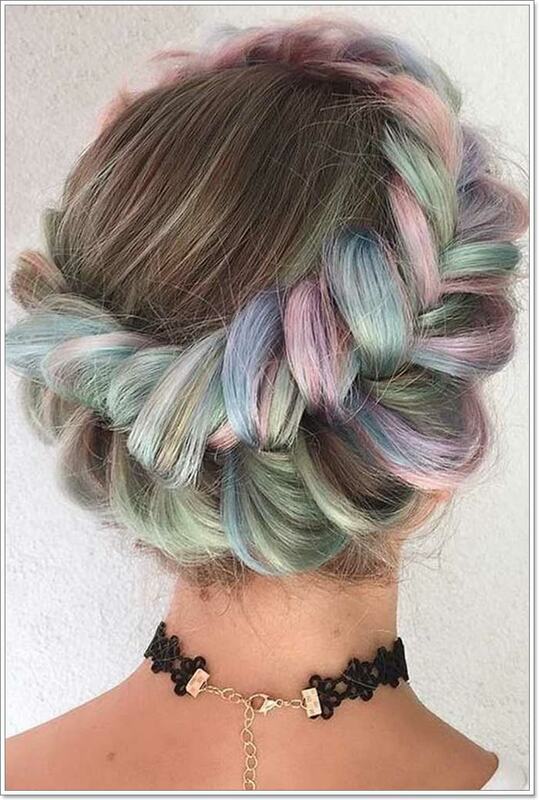 This looks great with bangs, especially when you have colored hair. However, it’s not necessary that your hair should be colored. Katy Perry wore the halo braids with black hair and she was astonishing. 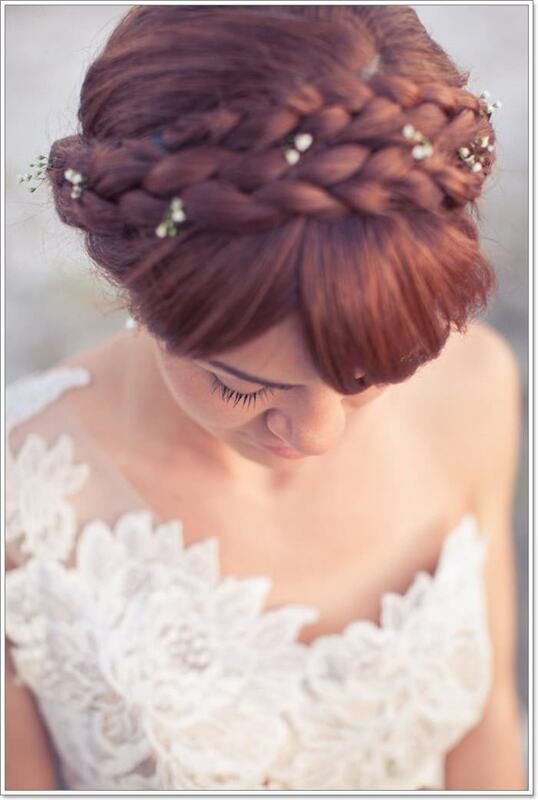 Here’s another photo that you can follow as soon as you decide to have this ever-stunning braids. Remember that all you need is long hair whether or not it’s a wig or your own. 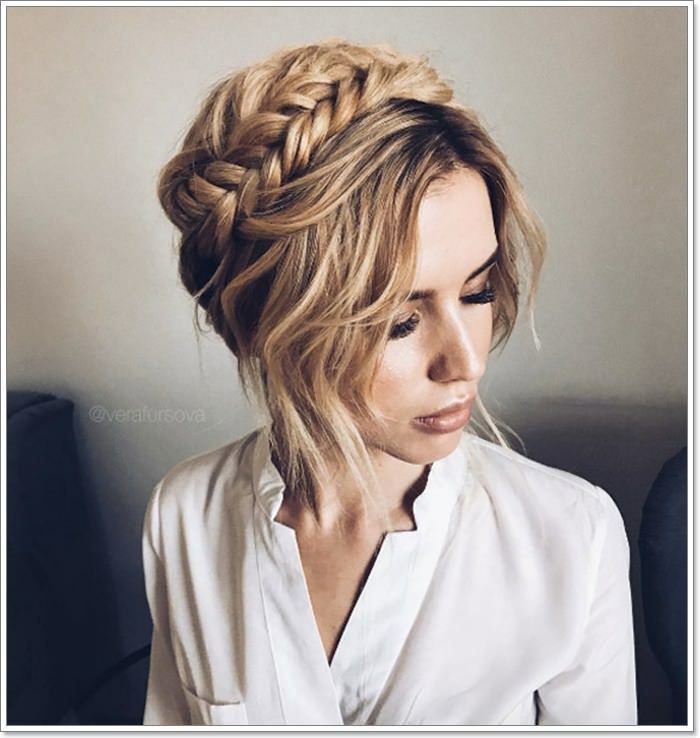 And of course, you need a good hairstylist who knows how to do this braid so you don’t have to worry about your new look. 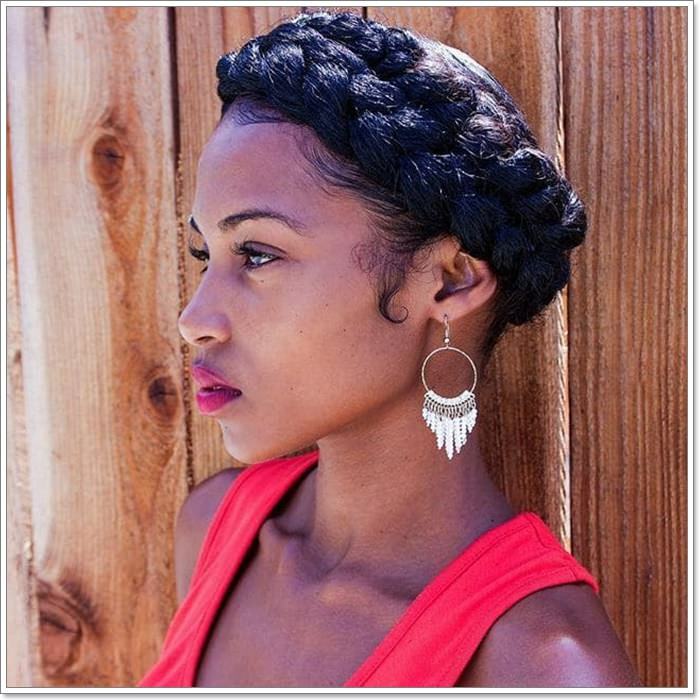 No matter your race or ethnicity, halo braids are amazing and perfect for the summer days. 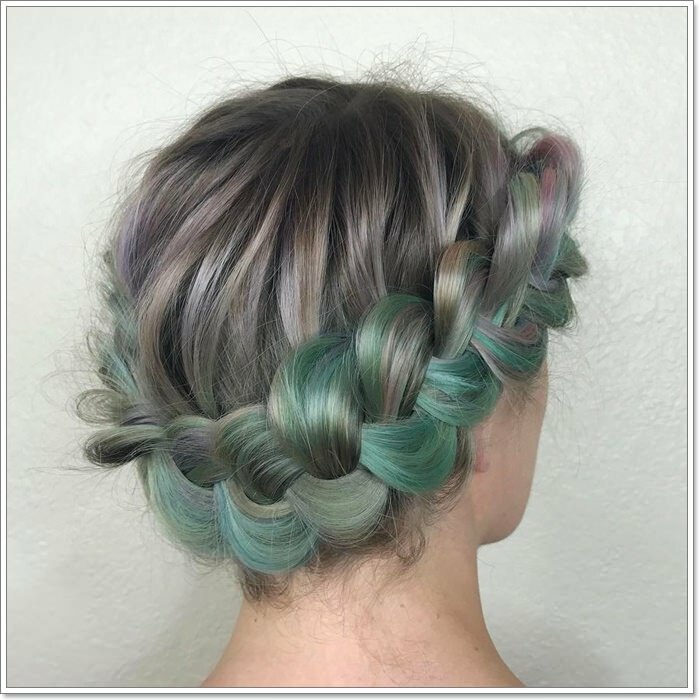 On special occasions, you can choose to put cute hair accessories on your two braids to make it more whimsical and dramatic. 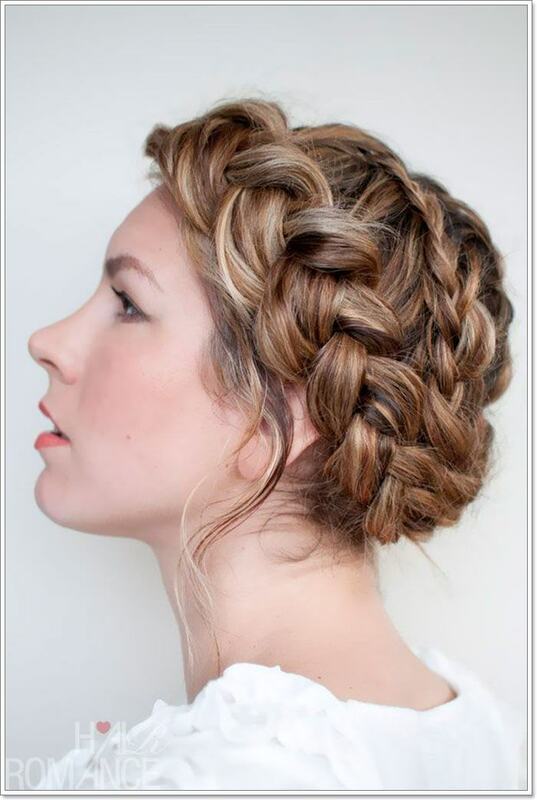 The stunning photos above are the best examples that this braid is fancy yet classic and easy to achieve. 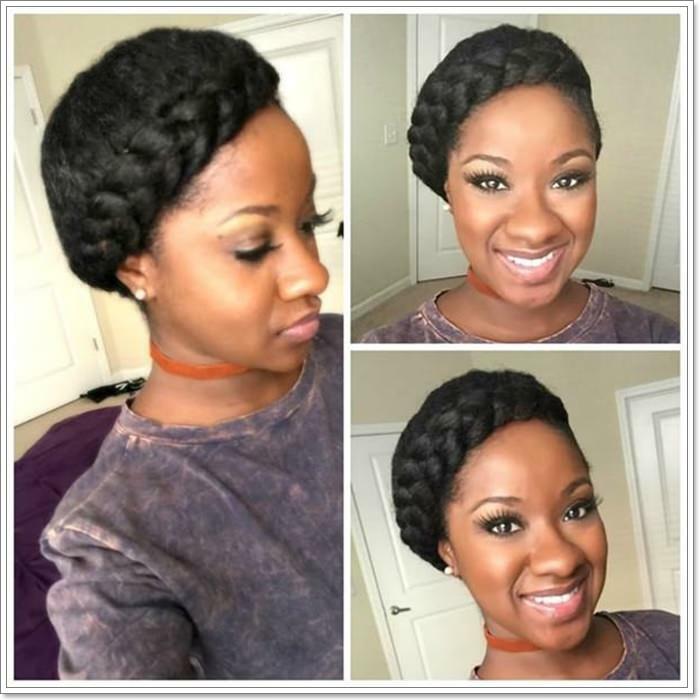 If you have a special event coming soon, try wearing this protective style as it doesn’t go out of fashion. 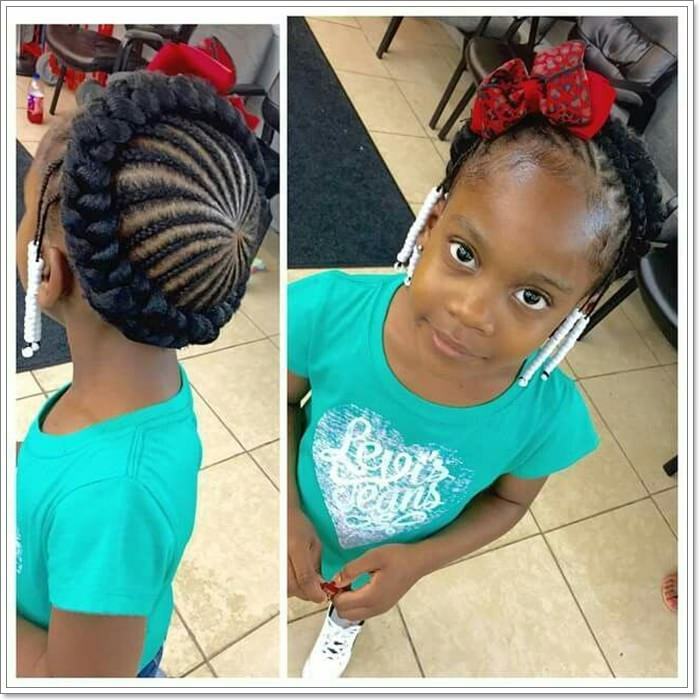 There are a lot of amazing braids that we have covered, including the lemonade braids that you can also try. 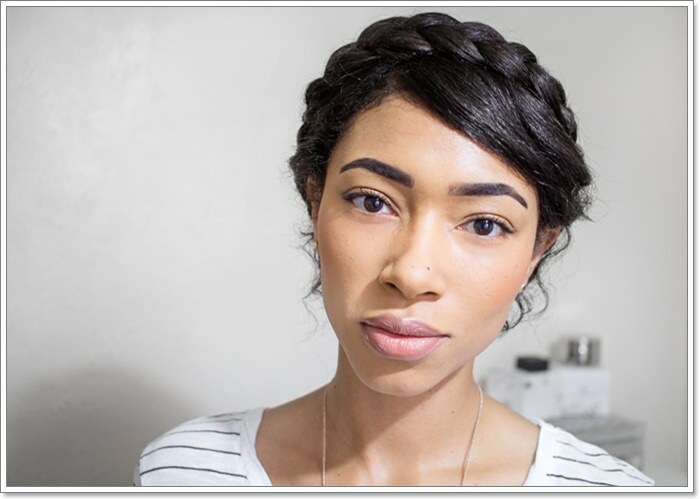 But halo braids are way easier and quicker to make that won’t take too much of your time. 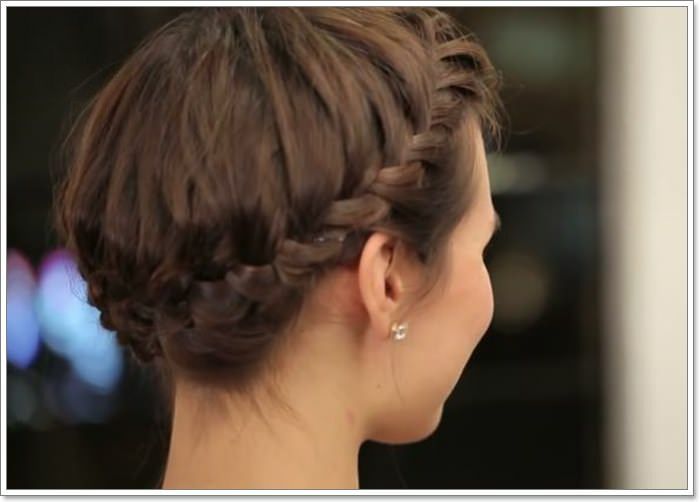 You only need to bear in mind that every hairstyle needs your efforts to ensure that you will look good in every inch. 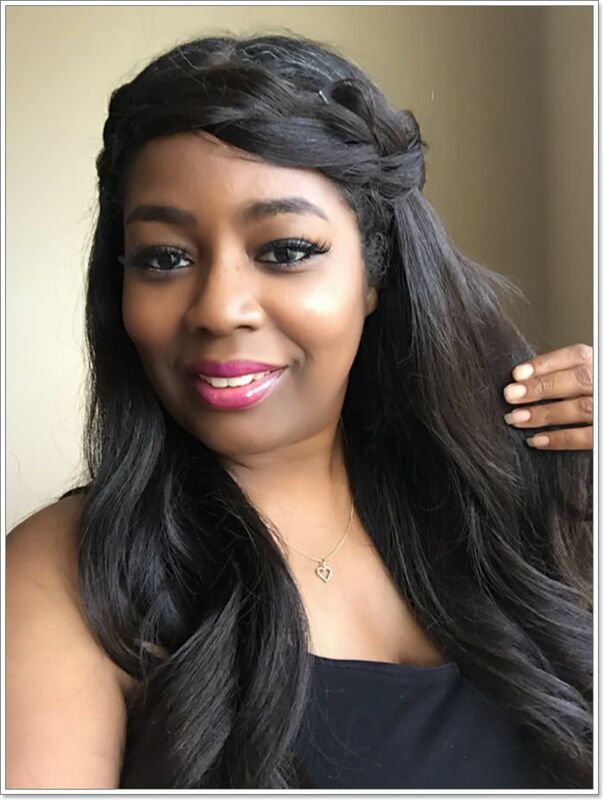 It can be difficult to achieve the looks that you want if you don’t feel like taking care of your own hair. Your hair is alive and definitely needs your time just like any other things that require your attention. The key to your gorgeous looks is determination. When you are determined to achieve the looks that you want, the execution becomes easy. 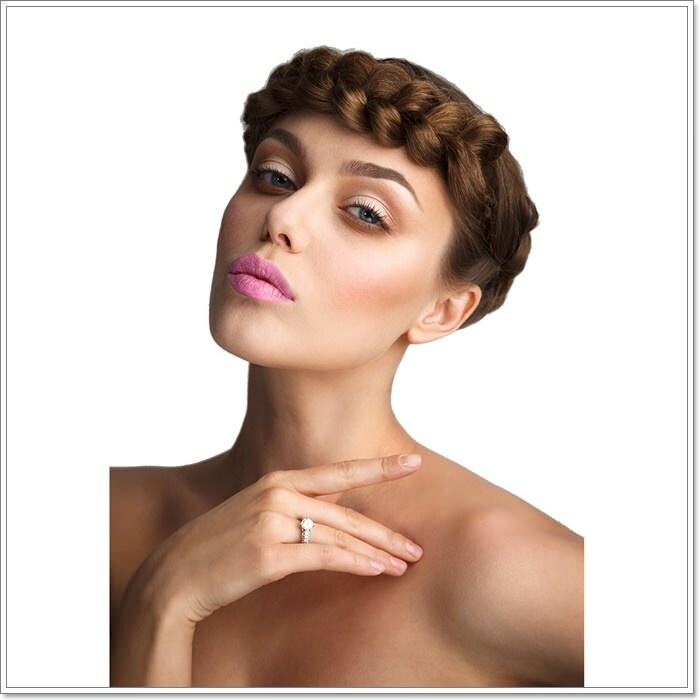 There are hairstyles out there that you may consider and we have covered a lot of them here. 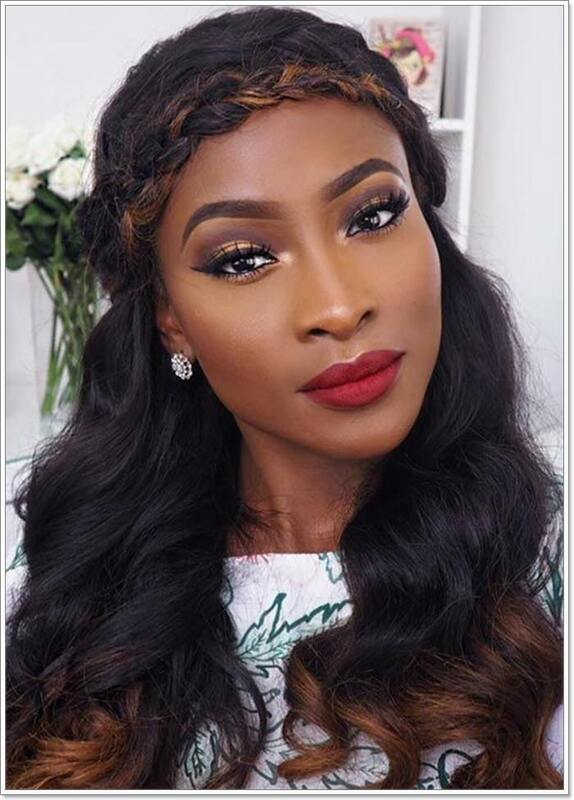 Be sure to check back with us for more hairstyle inspirations that you can always follow as soon as you feel bored with your current hairstyle.